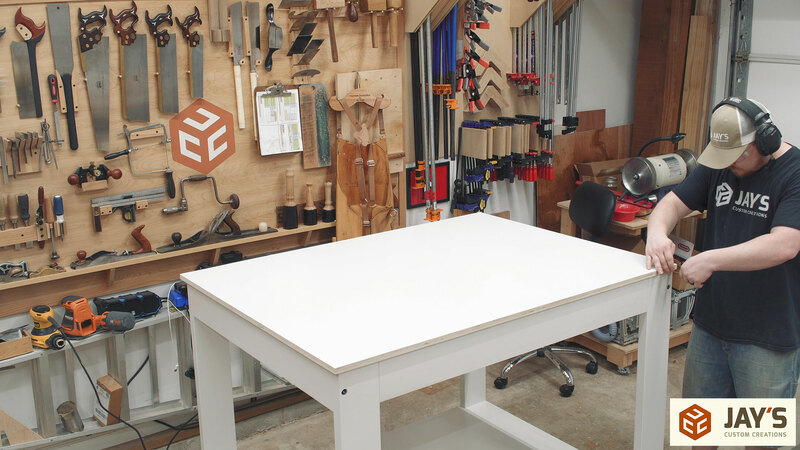 I think I can get away with claiming that I keep my shop pretty clean and organized. There’s no way I can say that about my office. It’s never been organized and it’s always in a state of chaos. Partially due to the fact that long stretches of computer work breeds laziness and partially because I simply do not have an organization system or a place to put stuff. Hopefully this project is the start of a clean and tidy office change. My office is a relatively small room that connects our house to our garage (shop). Not only is it a small room but one long wall is completely floor to ceiling windows with the back door to our house and the opposite long wall is completely waist to ceiling windows. That really limits what can be placed on those walls. 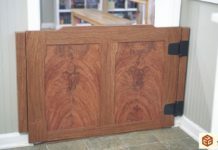 Each short wall has an entry door as well which also limits what can be placed on those walls. Oh, and there is only one electrical outlet in this entire room. 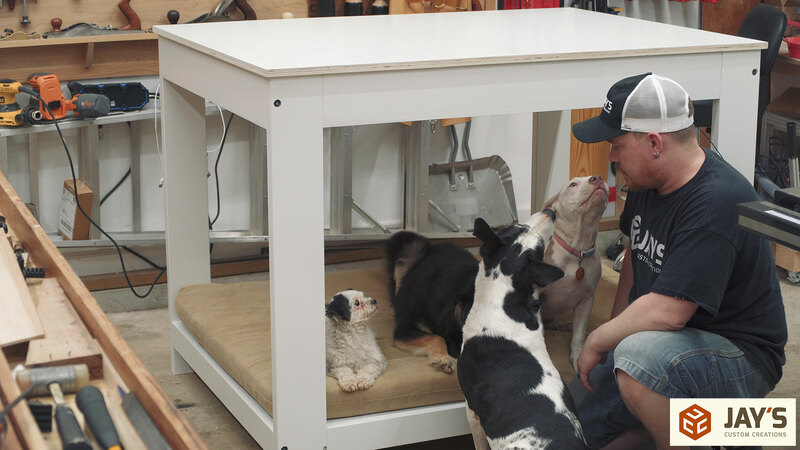 And Oh #2, we have four dogs and their bed and food supplies must remain in the room as well. Regardless of what I design I do know that there won’t be a tremendous amount of wiggle room. It’s going to be pretty tight. 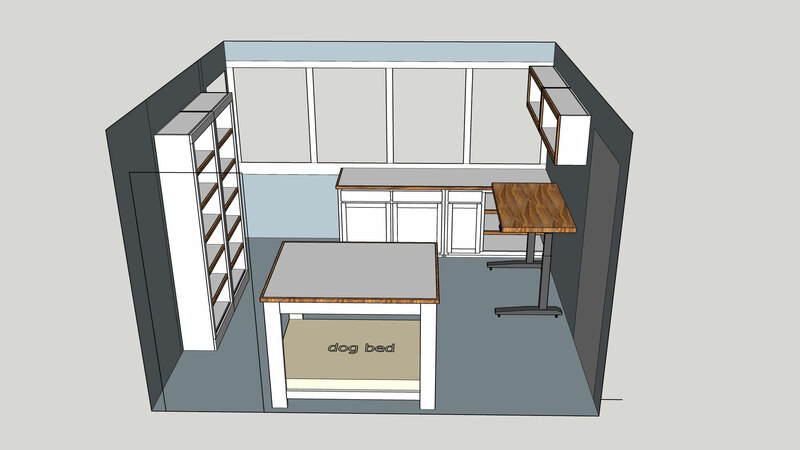 With storage and work stations in mind I took to SketchUp and this is what I came up with. This view is standing on my back porch and looking into my office through the full wall of windows. The wall to the right has an entry door going into the shop and the wall to the left has an entry door in the corner behind the shelving units on the left. The only outlet is on the right wall so that’s where my Uplift desk will be. Above the desk is a pair of high hanging cabinets for longer term storage. Below the windows on the far wall is a pair of cabinets to store the dog food, an internal file cabinet, and my computer modem, router, and NAS. The wall on the left will have a pair of shelving units and right in front of the windows we are looking through will be a bar height table with a dog bed below. This is currently where the dog bed is located so I figured I would utilize the space a little better by making a table sized to the dog bed. 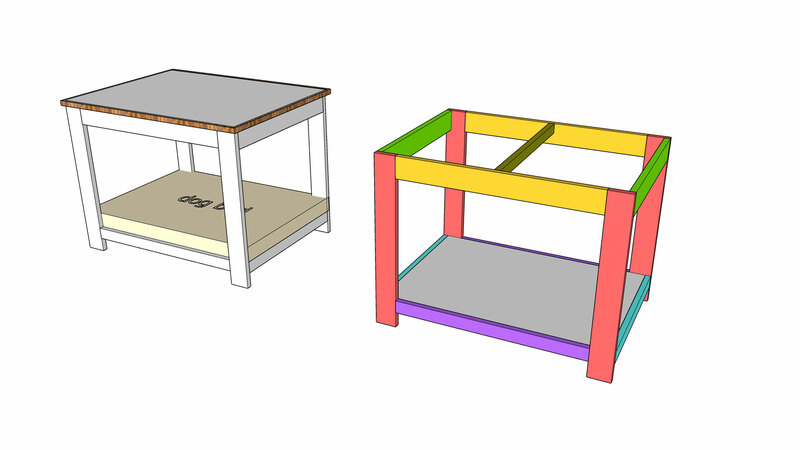 With the overall office design figured out I copied the table into a new SketchUp file and started my normal deconstruction process to determine how much material I needed. To tie into the white trim color that’s already in the office I decided to have all of the office furniture colored white and use bubinga as an accent wood for the furniture trim pieces and the wood top of the computer desk. This means the material for the structures can be just about anything inexpensive. 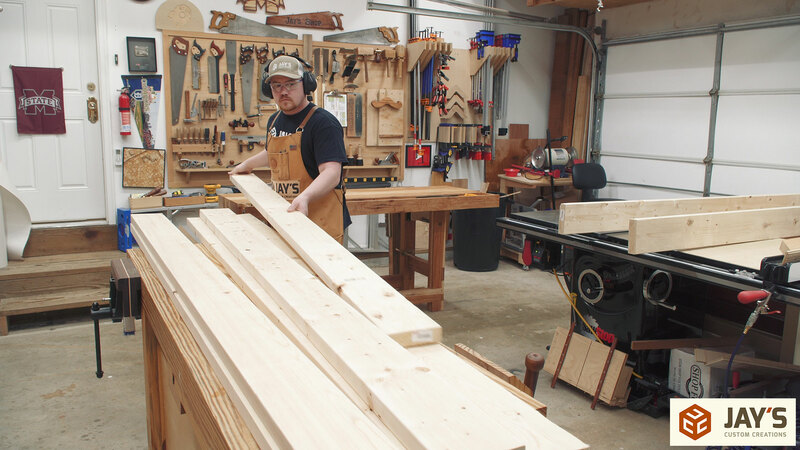 I chose white pine 2×6 lumber. 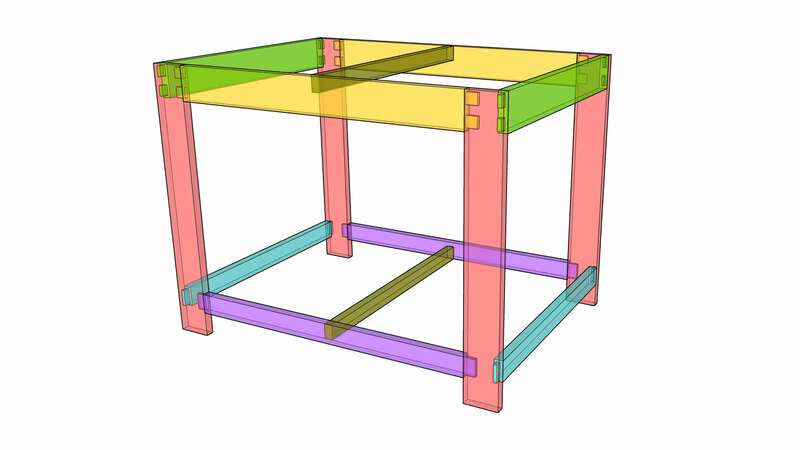 Because there will be few different sizes for the mortise and tenon joinery I printed off an X-Ray view of the table. 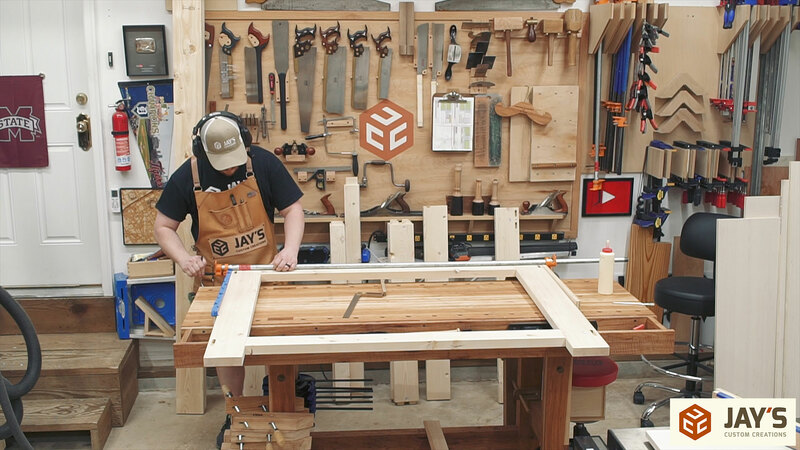 This helps me stay on track with the joinery….or so I thought. I ended up messing up some of the joints but it wasn’t bad and turned out alright. I’ll get into that later. 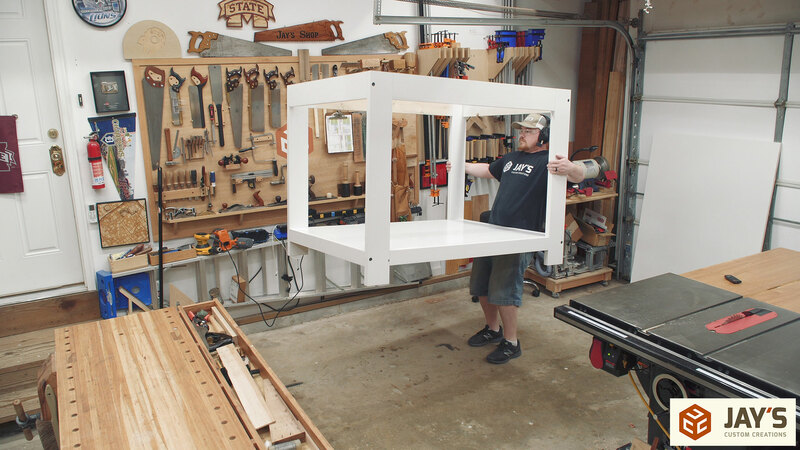 I designed this table so that the front and back frames will be glued assemblies and will be connected to the side rails with long lag screws. 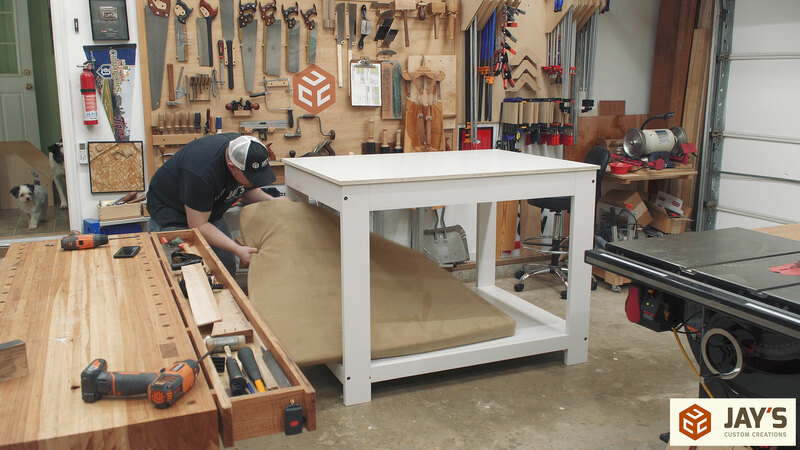 This allows the table to be taken apart to get through doorways. Because I splurged for bubinga as the main accent wood I went the complete opposite route for the painted pieces. This white pine stock that I got was full of knots and small defect areas. Oh well, it will be white when it’s all said and done. 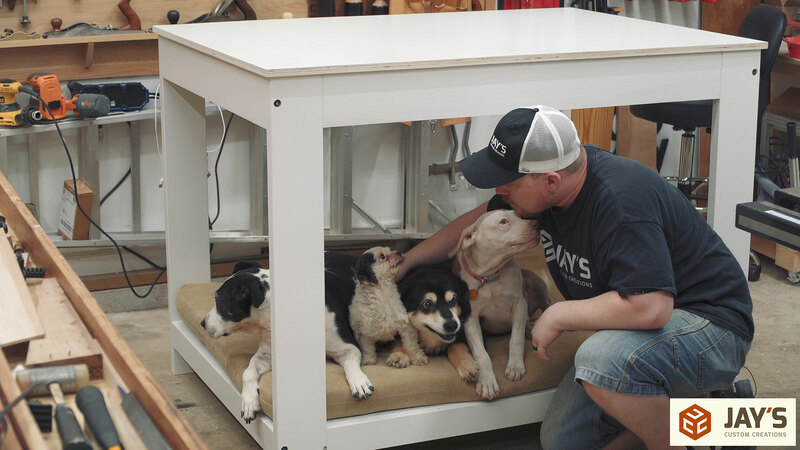 I let these pieces sit in my shop and acclimate for a couple of weeks before I got started on the build. 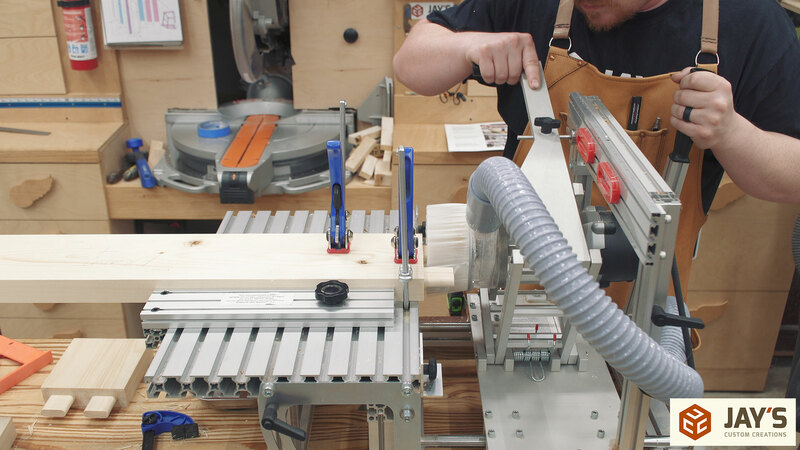 Then the jointer is used to flatten one wide face and one short face. Followed by milling the opposite wide face flat and parallel at the planer. 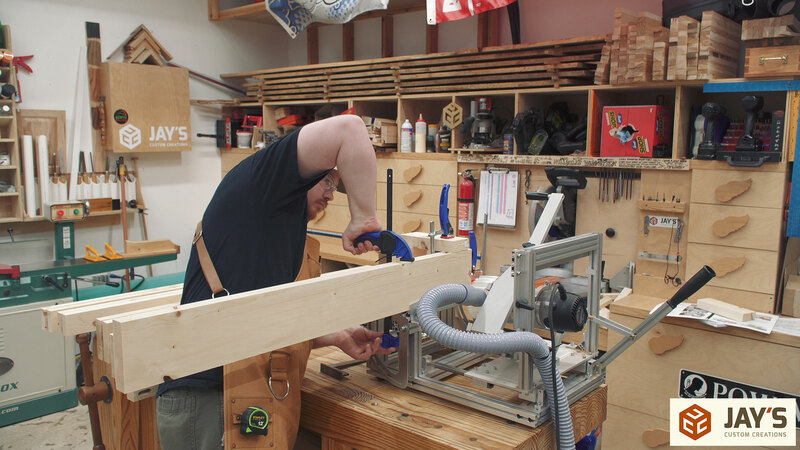 There are a lot of batch operations with this build, starting with the milling. Lots of jointing and planing. 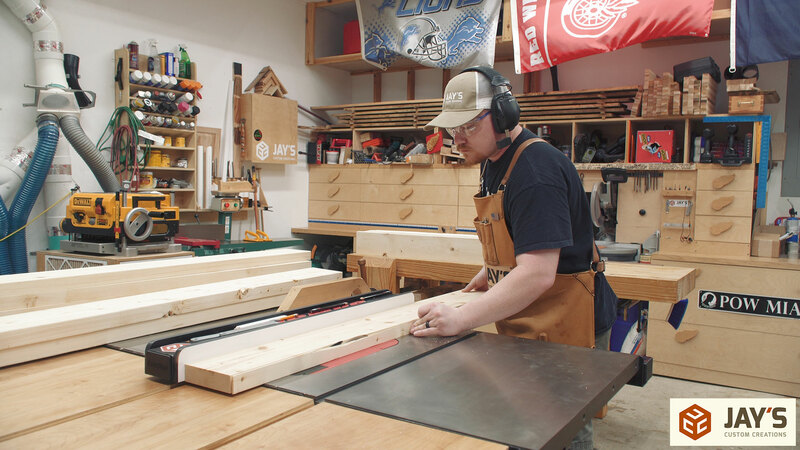 The pieces are cut to their final width at the table saw. 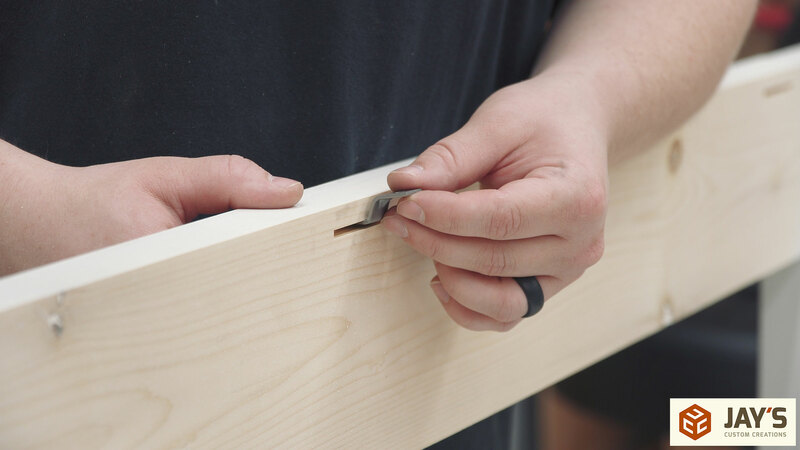 It’s easy to get confused or cut the wrong joint on the wrong piece with this many board that are so similar so I took the time to identify the best boards and designate where each piece would go on the completed project. 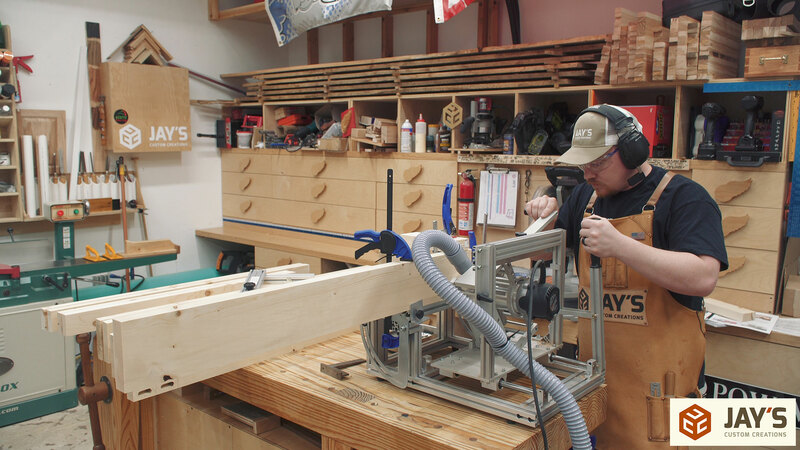 Finally each piece can be cut to its final length with the miter saw. 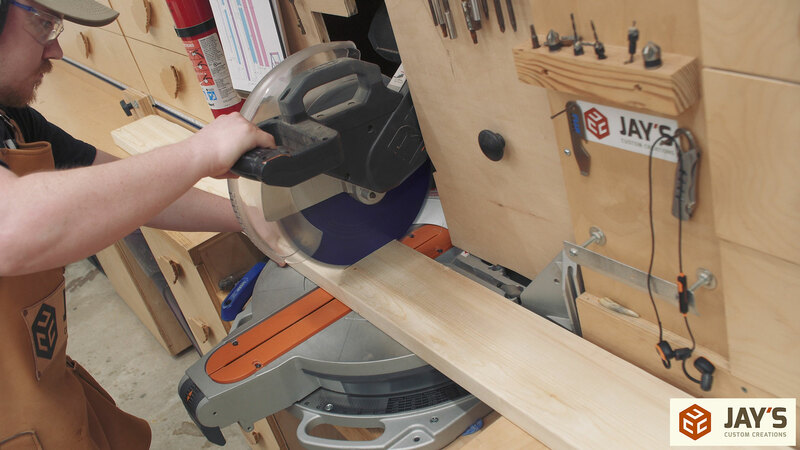 Having a stop block setup on your miter saw is also really handy for this step. 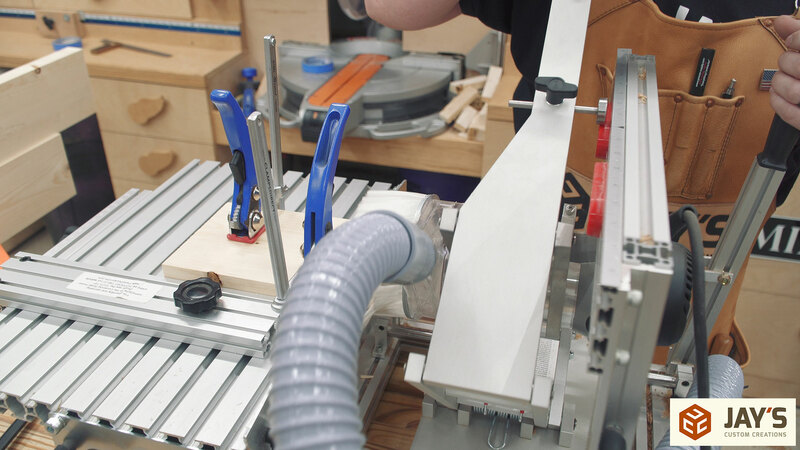 First, clean up one end of each board with a fresh 90 degree cut. 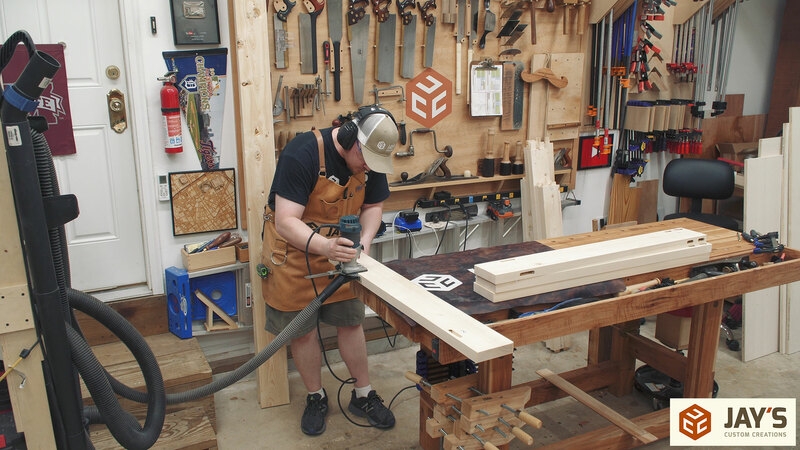 Then put the fresh cut against the stop block and cut the piece to its final length. 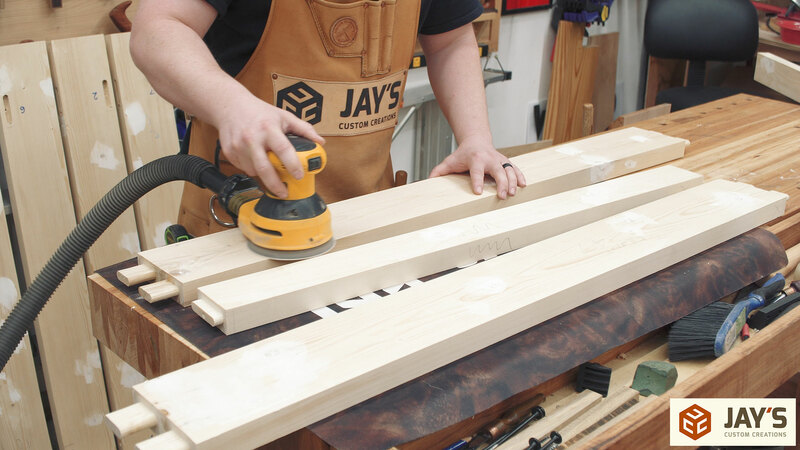 As long as your stop block ruler is accurate the process is quick and easy. 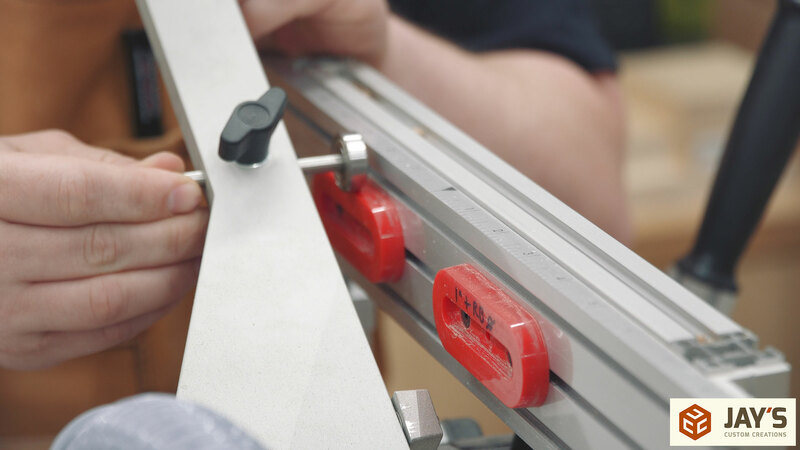 Much faster and more accurate than measuring and marking each piece. At this point I had all of my lumber milled square on four sides. The last thing I want to do is let these pieces sit overnight and chance them moving. 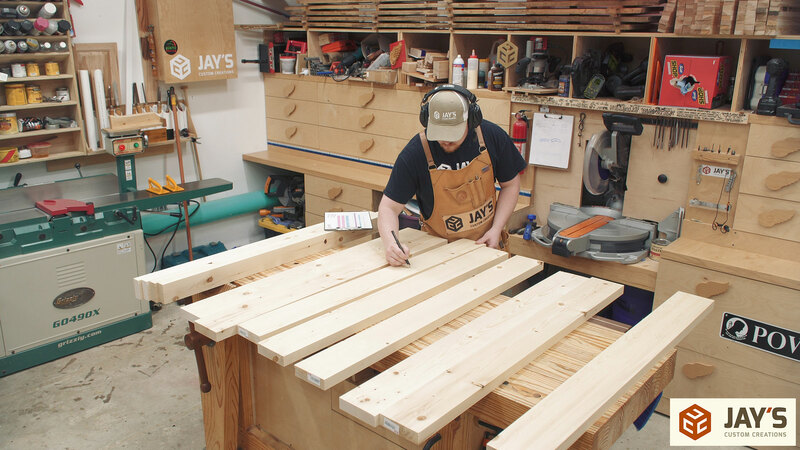 It’s best to get the joinery done ASAP after milling the lumber. In this case I made a scheduling mistake and forgot I had other obligations for the rest of the day. I didn’t have any stickers handy so sticker stacking the pieces was out of the question. Instead, I decided to clamp all of the pieces together to hopefully restrict as much movement overnight as possible. White pine is one of the woods that tends to move the most. I’m not sure if the clamps helped or not but they didn’t have any noticeable movement the next day. 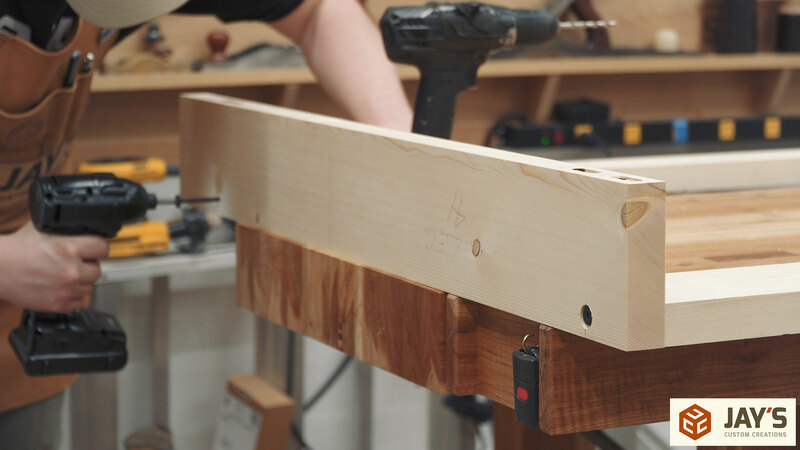 Mortise and tenons will be used for all of the main structure joinery. To make the joints I chose to use the Hybrid Pantorouter. This machine is capable of so much. 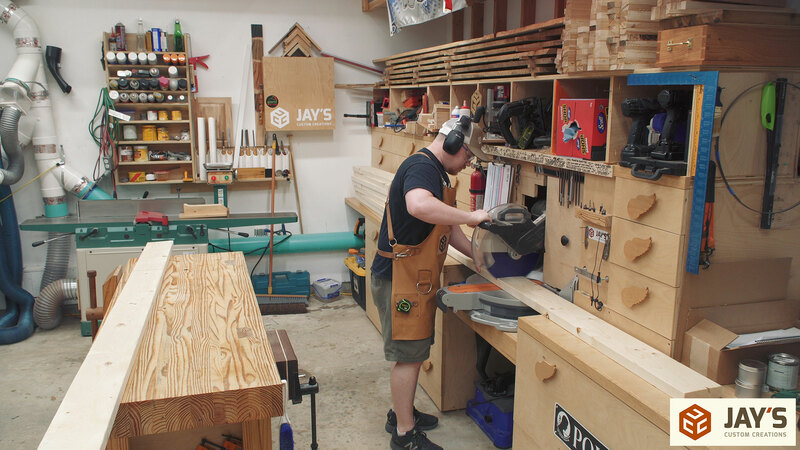 Much more than just mortise and tenon joints. 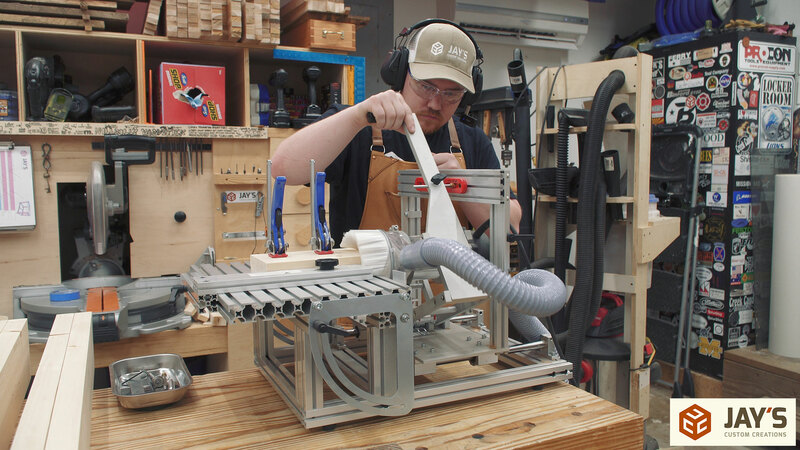 I do find it to be a bit finicky to get setup for each joint but once it is set up you can batch out many joints very quickly. 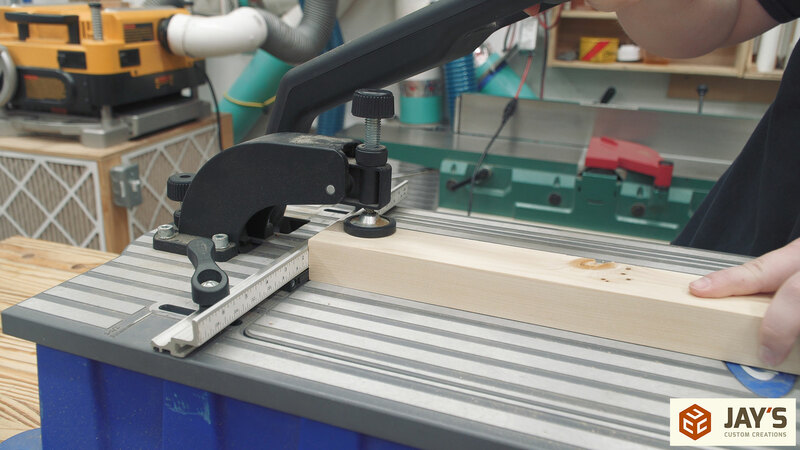 It’s not as fast and easy to use as the Festool Domino for mortise and tenon joints (which I will buy again. Selling it was a mistake…) but it’s also not a one trick pony like the Domino is. 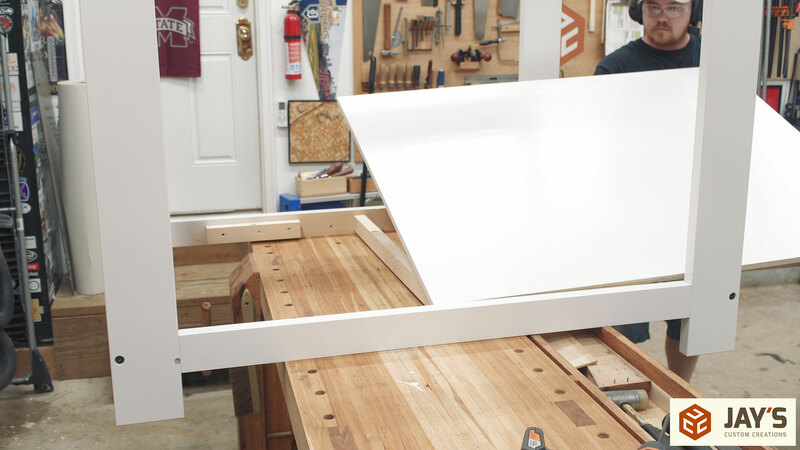 The first step with the pantorouter is to position the templates. The upper rail pieces are all 5” wide. 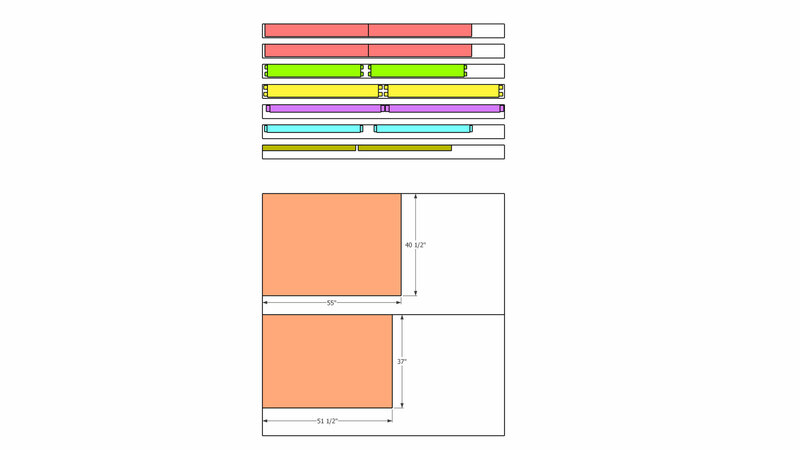 This means I can use two templates to create a dual mortise and tenon joint. You can see my notation on the right template. 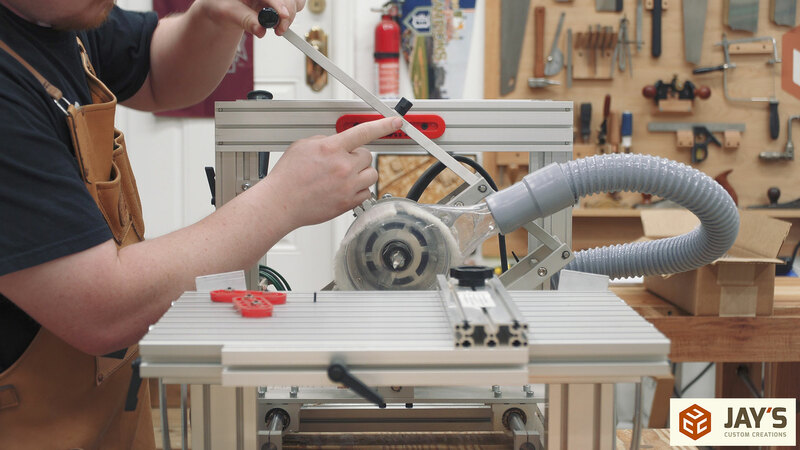 It reads 1” + Router Bit diameter. 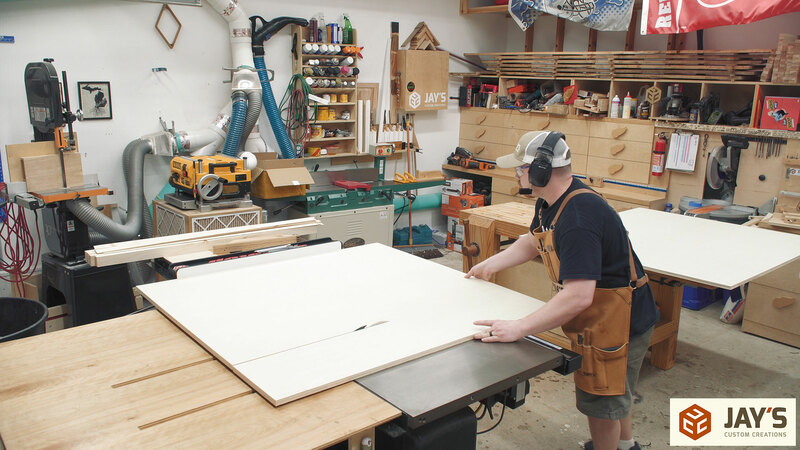 With a 1/2” diameter router bit these templates will make a 1/2” x 1-1/2” mortise. You can also see the guide rod positioned inside the left template. 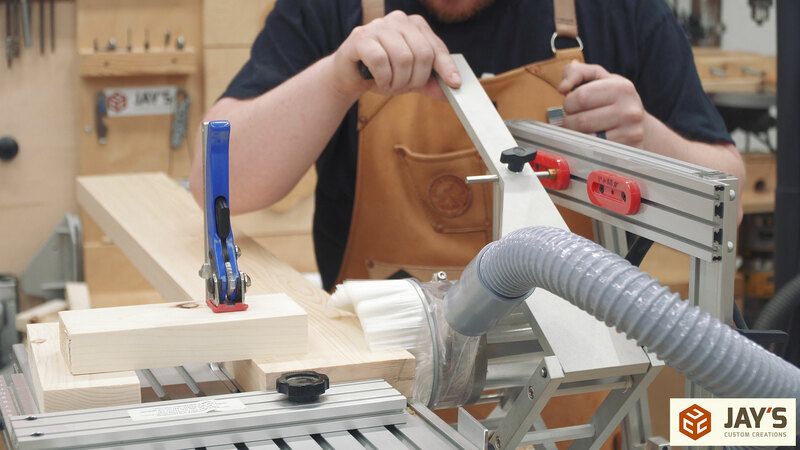 With it inside the template it is set up to cut the mortises. 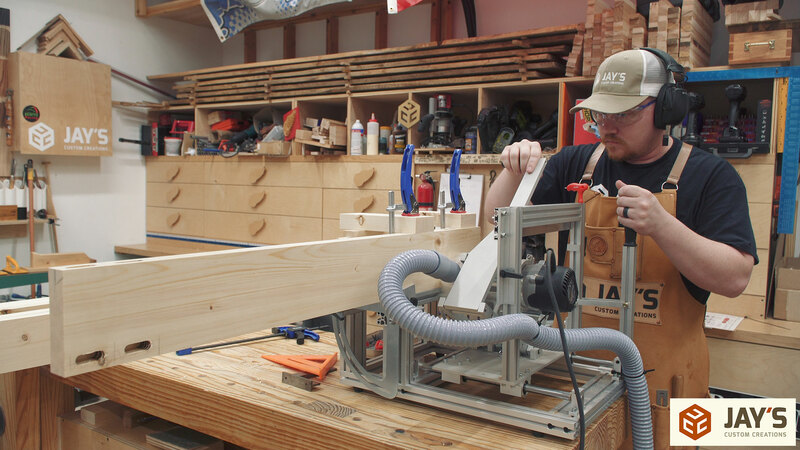 Always cut the mortise first with this machine. 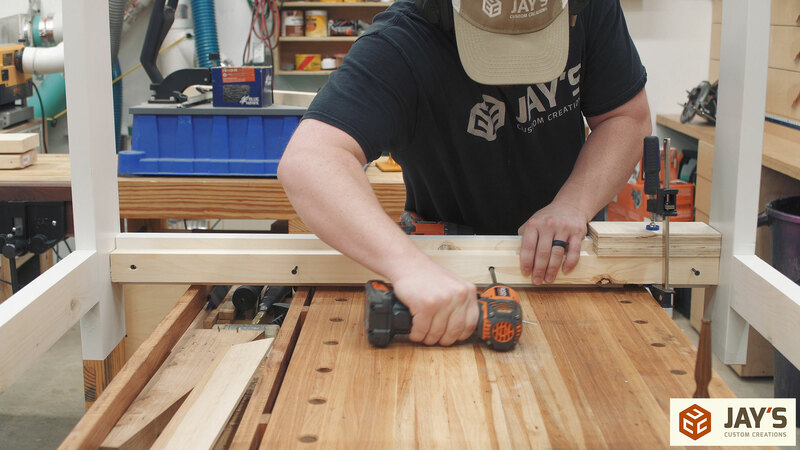 With the joint locations drawn on a cutoff of the stock I’m using I can position all of the material stops and also tighten down the templates where they need to be to cut the joints in the appropriate location. 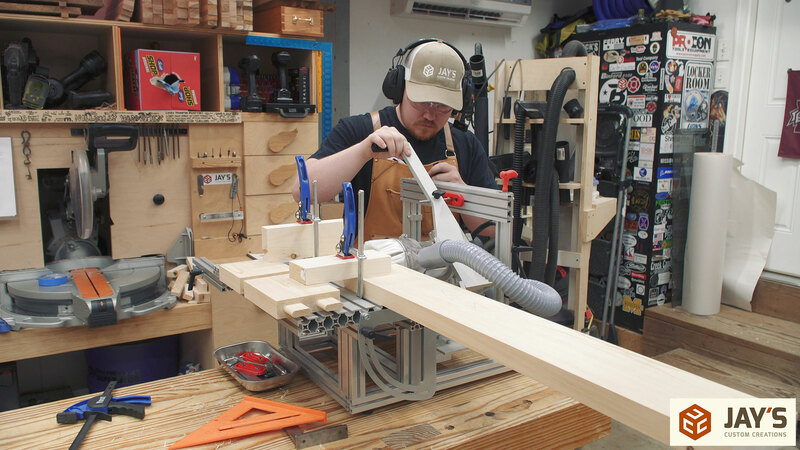 After setting the depth stop I went ahead and cut the mortises in that test block. 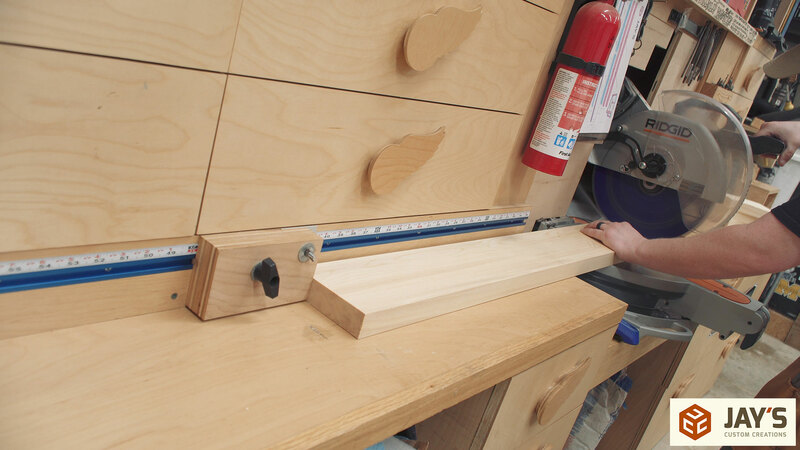 I always set the depth stop 1/8” greater than the length of the tenon. 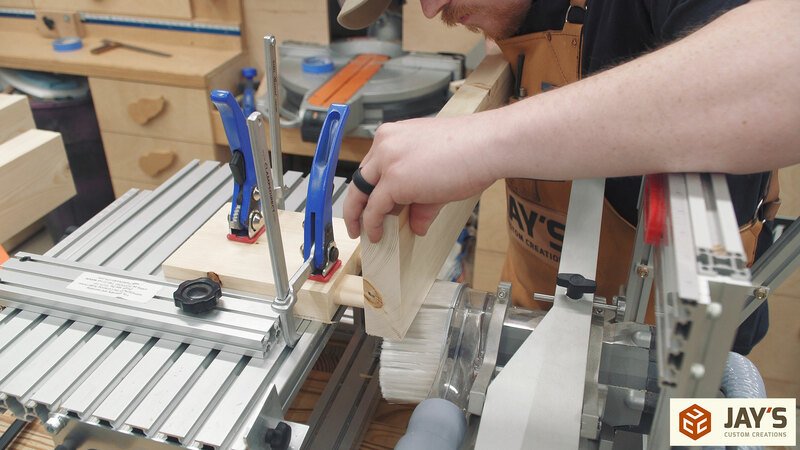 So in this case I know I’m going to be cutting a 1-1/2” tenon so I set the depth stop to 1-5/8”. This gives a little bit of room for glue when the joint is closed. 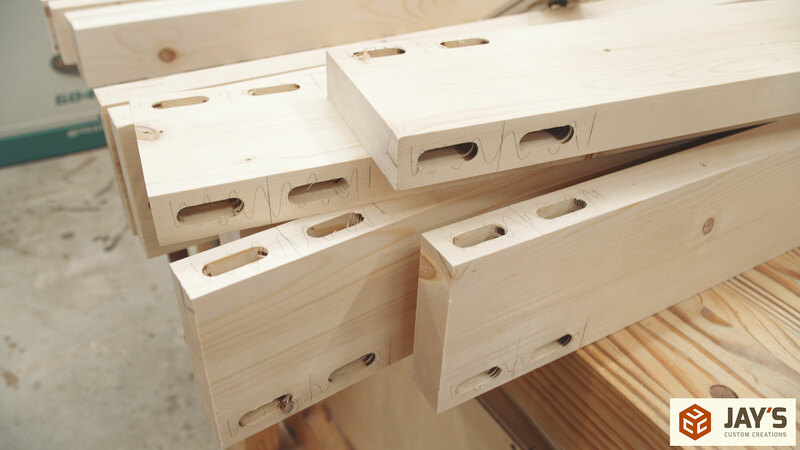 With the stop blocks setup it’s easy to batch out the joints but you also need to be aware of where they are going to be cut. To prevent a mental hiccup I took the time to draw out the location of each joint on each board. Just so I wouldn’t get confused. 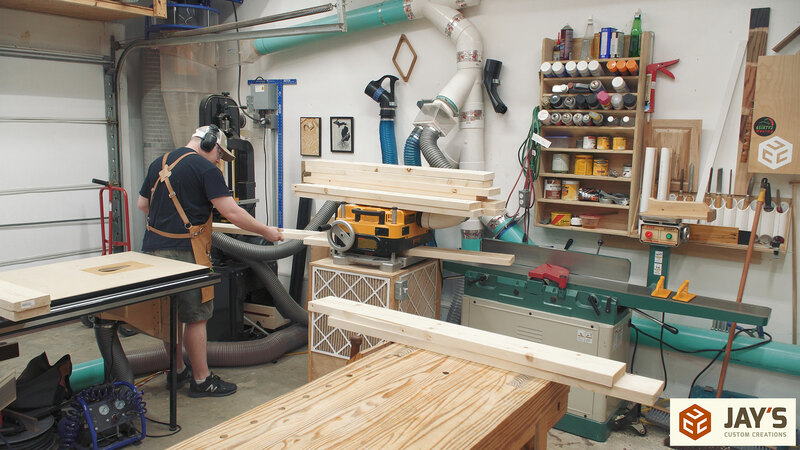 Then the upper rail mortises are cut. First with the full depth mortises on the short faces. Followed by the short depth mortises on the wide faces. 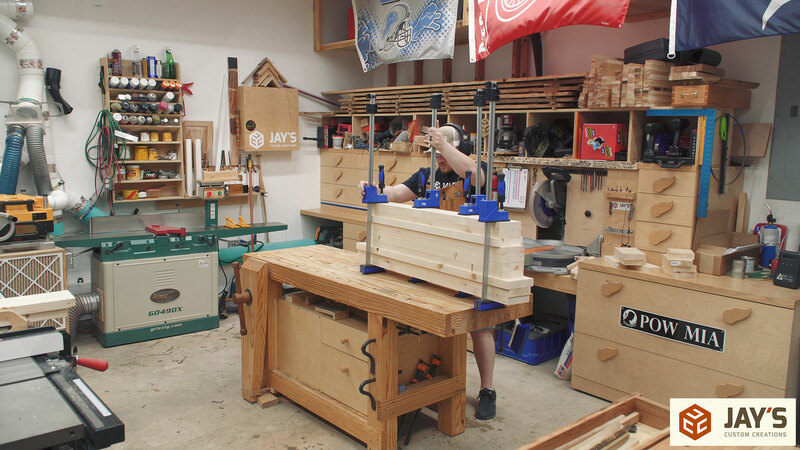 Because the legs are rectangular and not all of their sides are equal, there are two different orientations for the mortises. A true left and right leg setup which requires a different stop block setup. For the opposite side legs I used the scrap block I cut earlier to set up a different stop block. I had to bring in more clamps for these as the pieces hung off the table quite a bit. This is my first time using the pantorouter with an appropriate sized dust collection hose. It makes a HUGE difference. 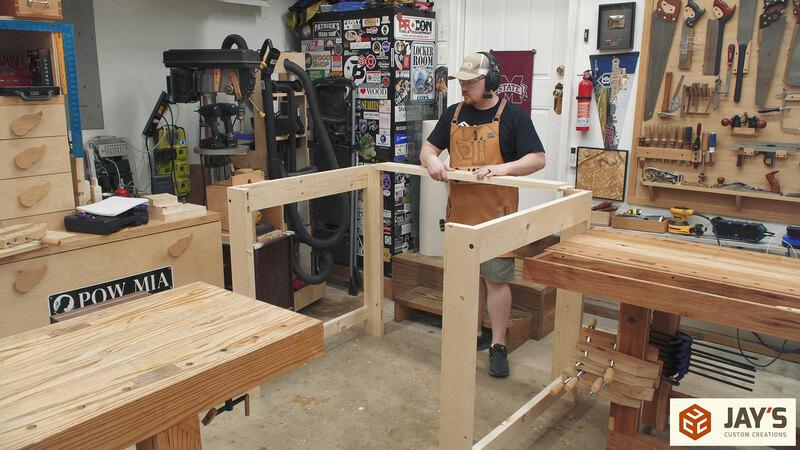 In total there were 24 mortises and 24 tenons cut and very little dust on the machine when I was done with it. The dust collection is great. To cut the tenons the guide rod was removed from inside the templates and replaced with a larger diameter bearing that rides on the outside of the templates. You can see in this image that the perimeter of the templates is not 90 degrees to the vertical face of the templates. It has a slight slope. 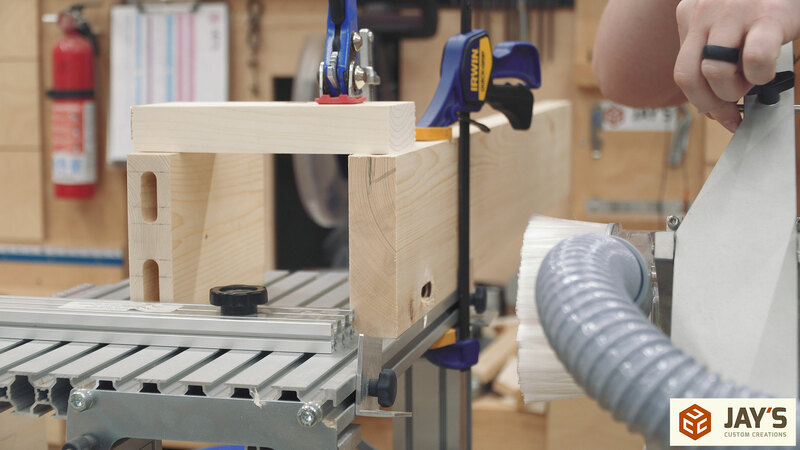 This gives you variable sizing for the tenons. 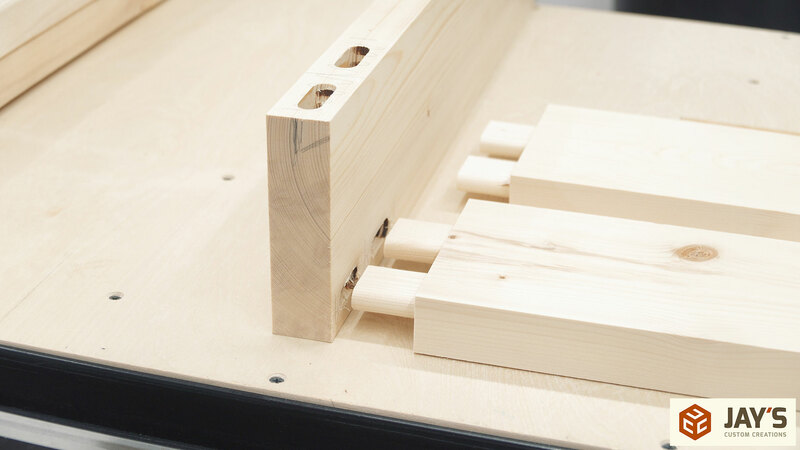 With the bearing pushed all the way against the template holder the tenons will be cut oversized. Then reposition the bearing away from the template holder and make another cut to remove more material until the desired fit is achieved. You can see how far I had to pull the bearing away from the template holder to get the fit I wanted. Then all the tenons are batched out. This is where I made a mistake. 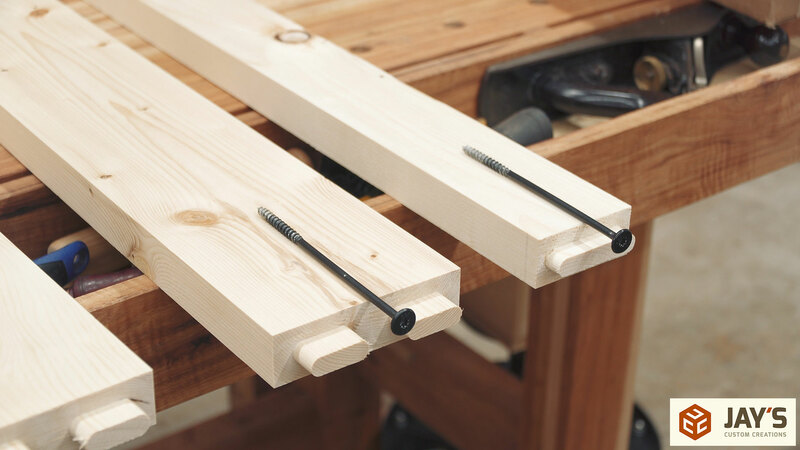 I needed 1-1/2” long tenons for ONLY the upper long rails. I accidentally got ahead of myself and cut this size tenon on ALL of my upper long rail stock. This means my short rails were now cut too short by 1”. I figured the dog bed would be able to compress by this 1” difference so I went ahead with the build. It ended up being perfect in the end. Here you can see the problem. 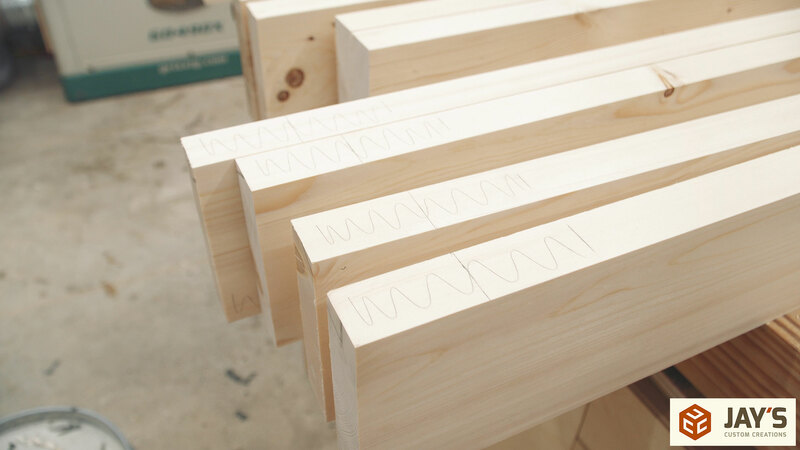 The short rail tenons are actually longer than the leg material thickness. I’ll need to trim these down. 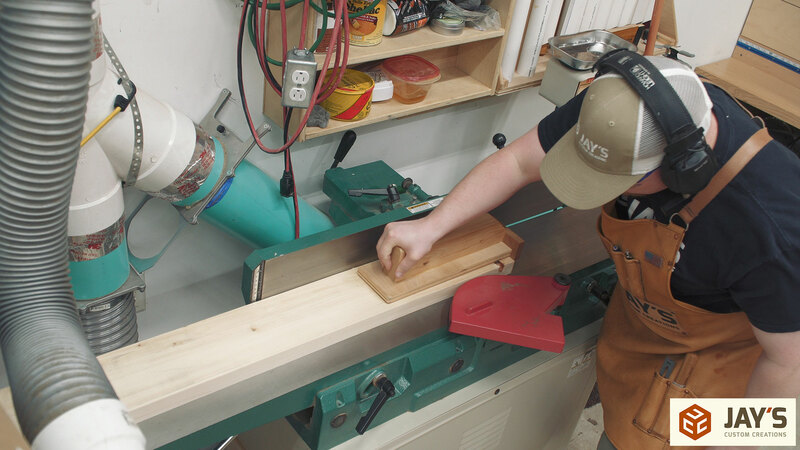 Next I switched to my wider template which creates a 2-1/2” long mortise. 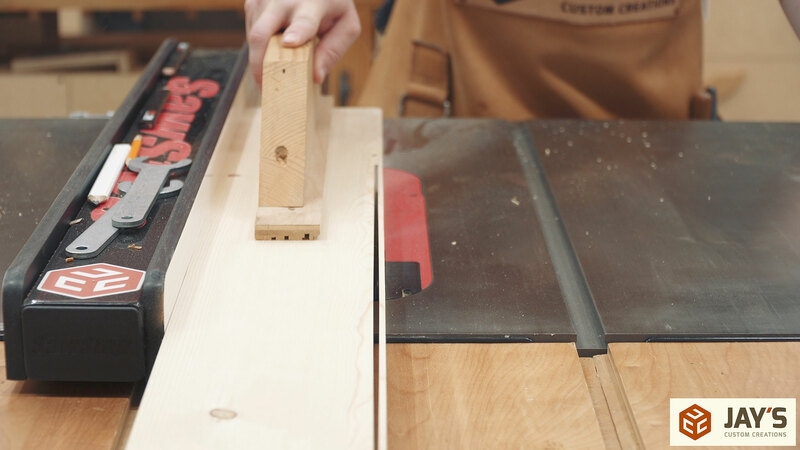 This individual template will be used for all of the lower rails as they are 3” wide instead of 5” wide. You can’t see it but I have a centering pin in the arm of the pantorouter and in the center hole of the template. The template is not secured just yet. 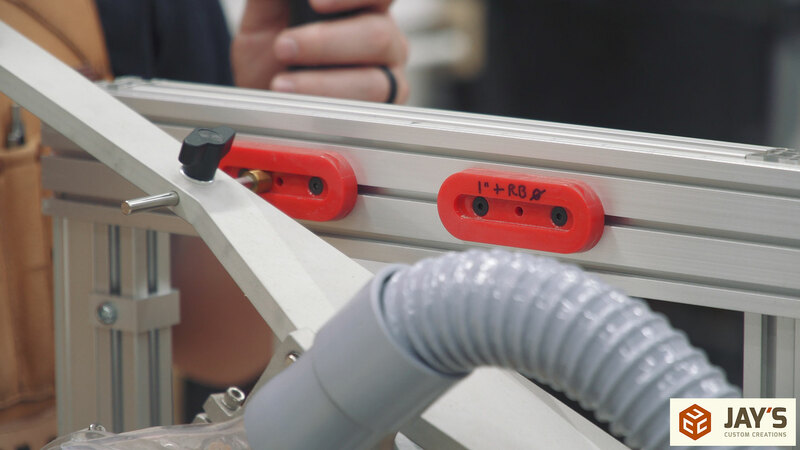 During initial assembly of this machine a centerline is established on the table. 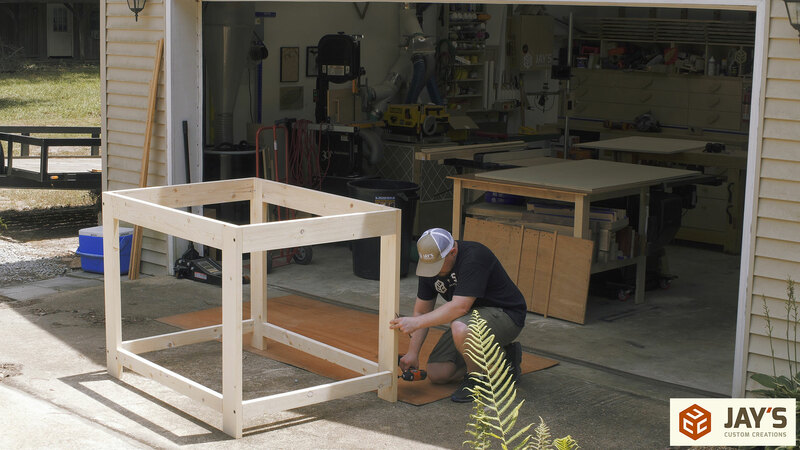 This fence has a ½ scale on the opposite side which allows you to set the scale to the width of the stock which positions the fence so that the material is perfectly centered on the centerline of the table. With the fence locked down I used a scrap piece of the lower rail stock with the center of the joint written on it to position the router bit and lock down the template. And once again it’s the same old song and dance to batch out all of the lower rail mortises. 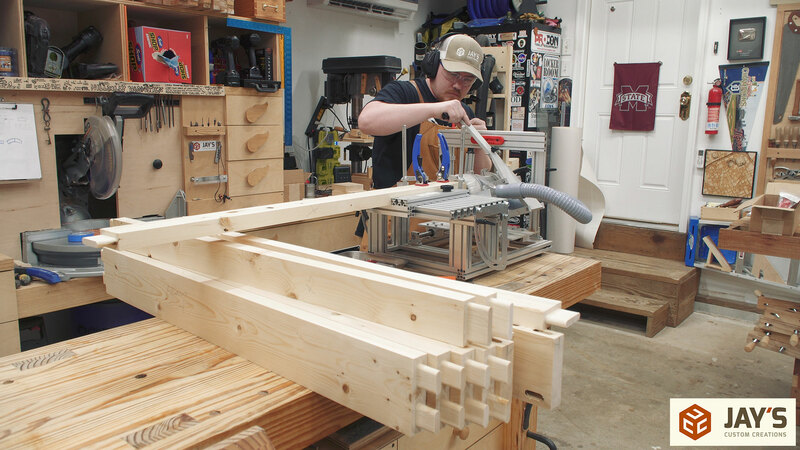 Remember when I cut the upper short rail tenons incorrectly? 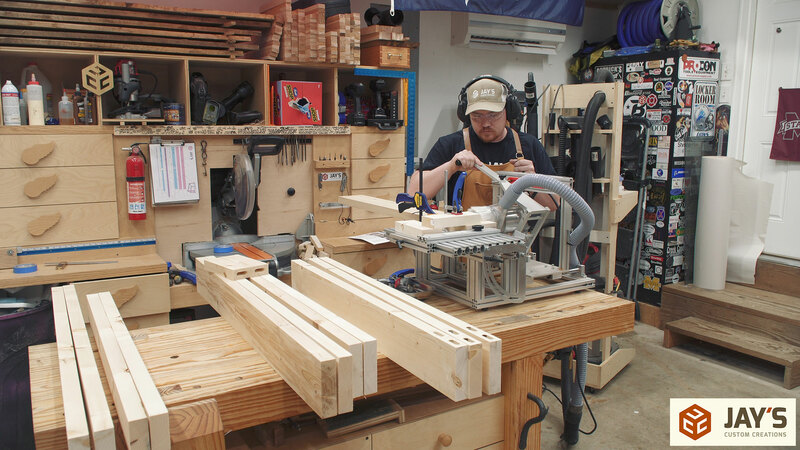 Well, for consistency sake, I had to set the machine to make that same mistake on the lower short rails when cutting the tenons. 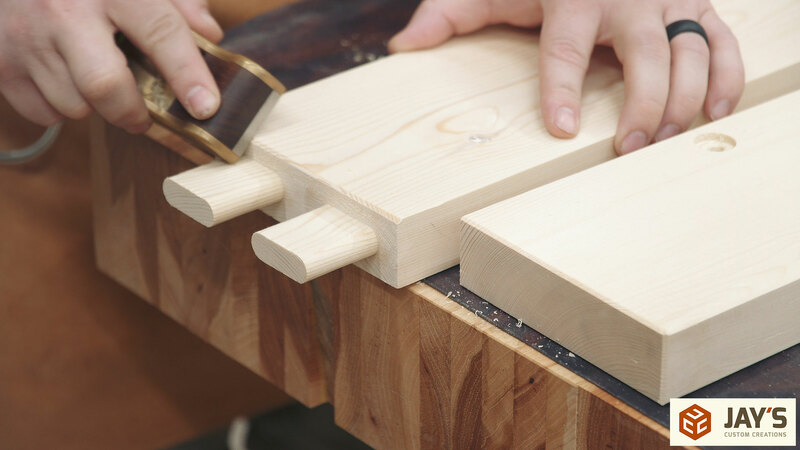 This makes sure that the distance between the tenons on each end of the board is the same on the upper and lower short rails. 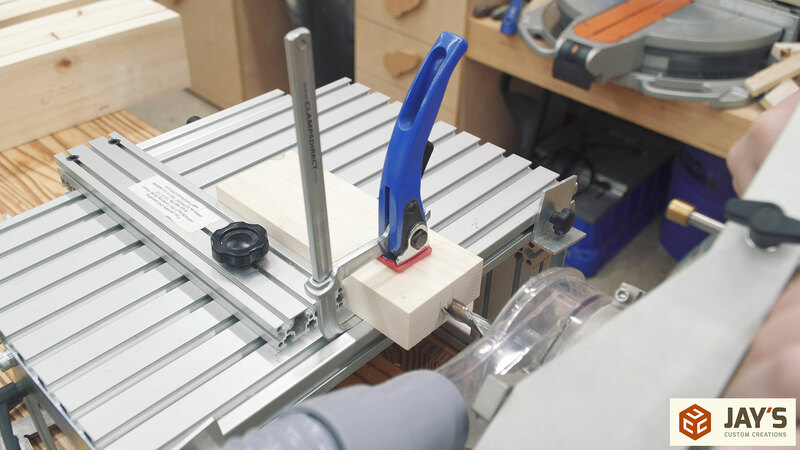 The tenon length is reduced at the table saw with the miter gauge and a magnetic featherboard as a stop block. To increase dust collection effectiveness and to also collect the tenon offcuts I simply remove the insert plate before making these cuts. There is no worry of kickback with these pieces because they aren’t big enough to bounce around and gravity pulls the pieces right into the dust collection hose. These are the screws I will be using for the knock down joinery. I believe these were 6” long and more than 1/4” in diameter. 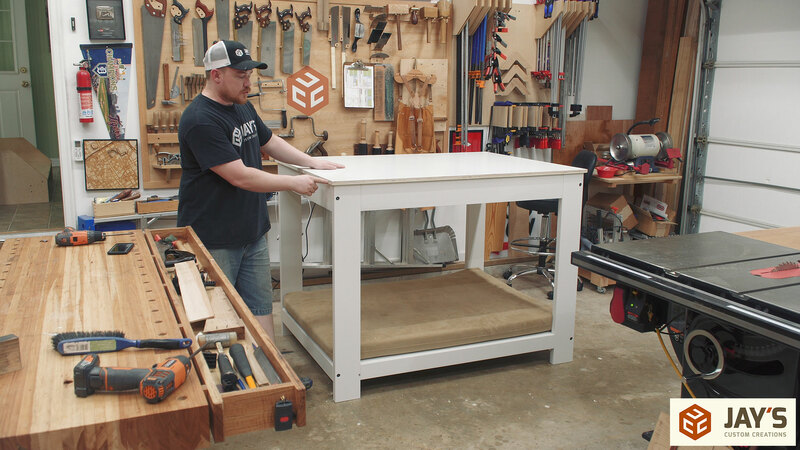 If this table was to be disassembled and reassembled often then I probably would have chosen a metal male to female hardware connection but because this will rarely ever be disassembled I don’t see it being an issue. I just need to be mindful to not overtighten the screws. To recess the screw heads below the surface I drilled a few forstner bit holes at the drill press. The first dry assembly is of the short rail sides. 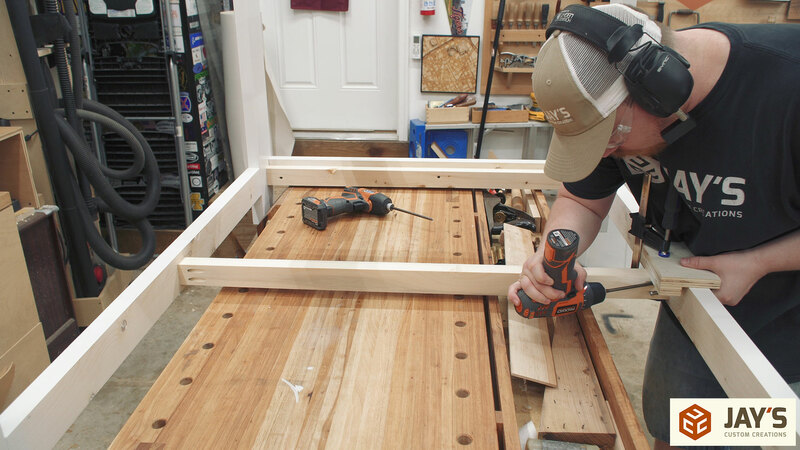 This allows me to drill the through holes and drive the knock-down screws into place. 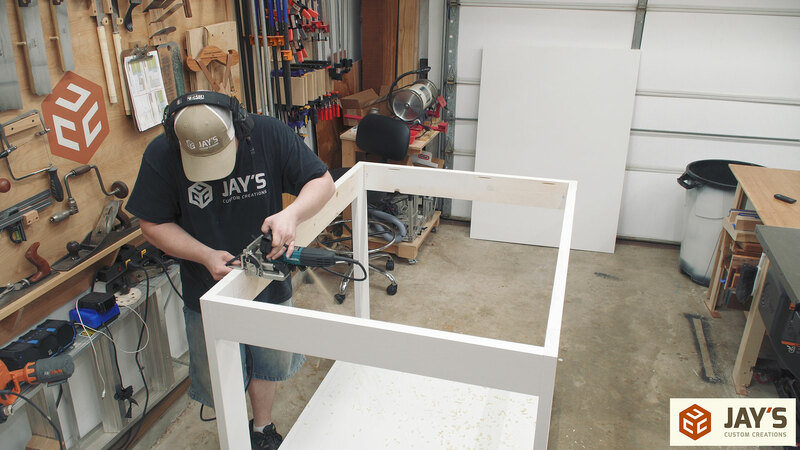 With both sides established I used one of the upper rails to position the sides and determine the final dimensions of both plywood panels. These boards were full of defects. I filled the major defects with quick drying drywall patch. 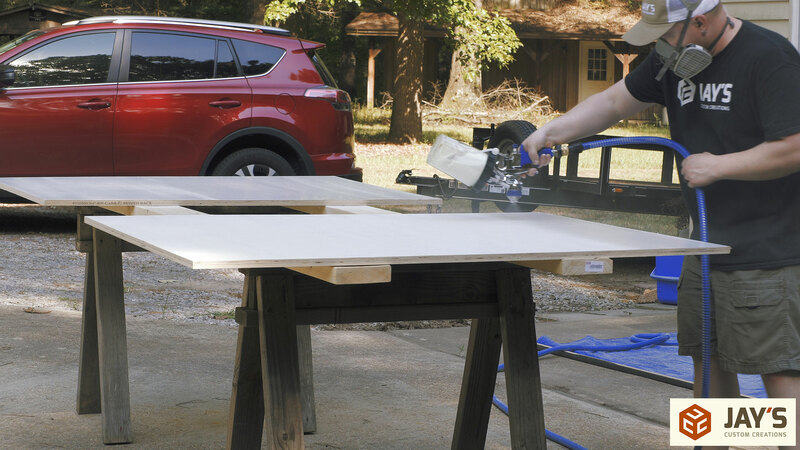 And while that dried I cut the plywood on the table saw. Before a final assembly and finish I sanded each piece with 180 grit sandpaper. And I also routed a chamfer on the bottom and each vertical edge of the legs. Using the bottom of the legs as reference, I cut a matching chamfer on the ends of the tenon pieces with a block plane. 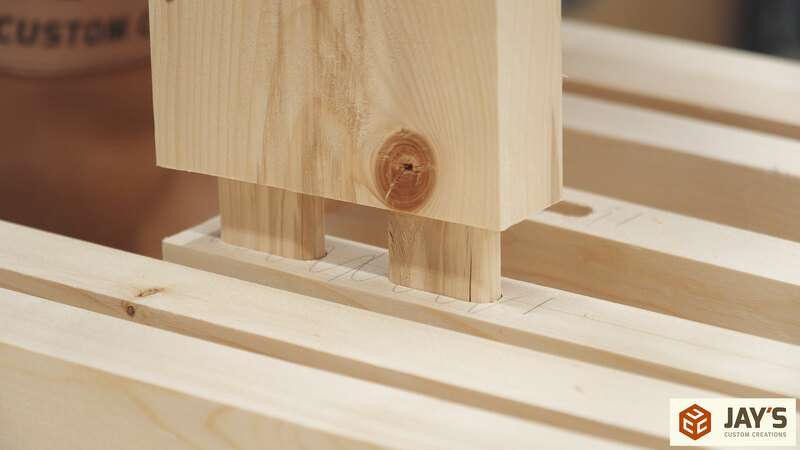 This will exaggerate the mortise and tenon joint seam between the two boards. I figured it would be best to make the seam stand out on purpose rather than the cheap pine move unevenly down the road and cause visual problems. 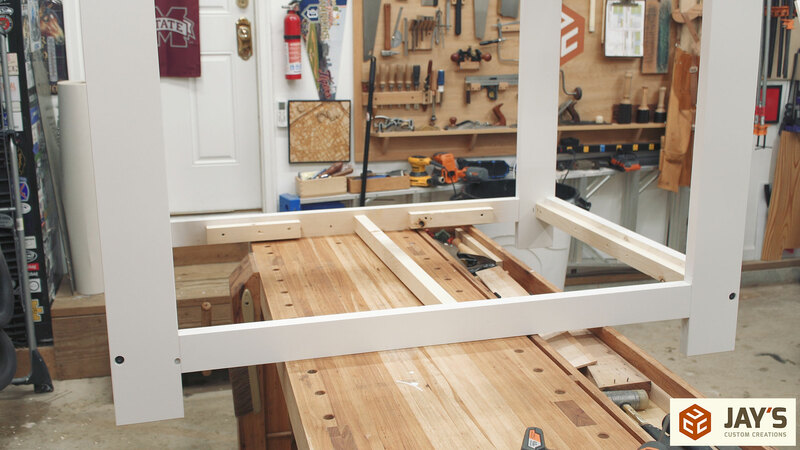 Finally the front and back frames are glued up. These frames ended up being extremely rigid. 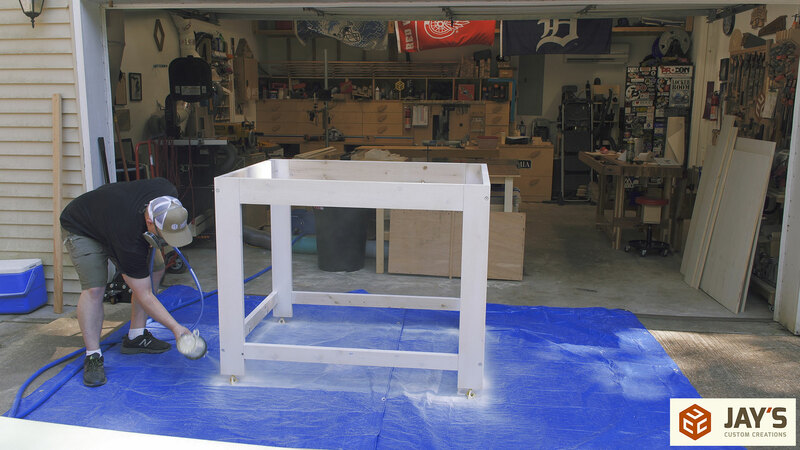 With the front and back frames glued together I took it outside for a full assembly and to start the finishing process. 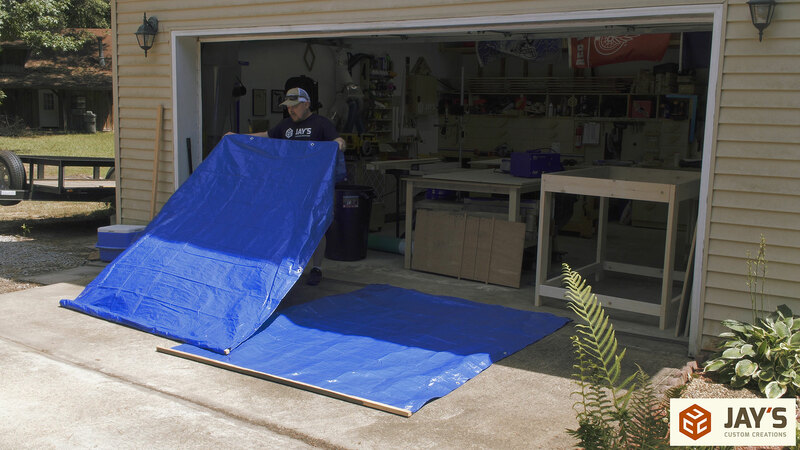 To catch the overspray I used a couple of 6′ x 8′ tarps. 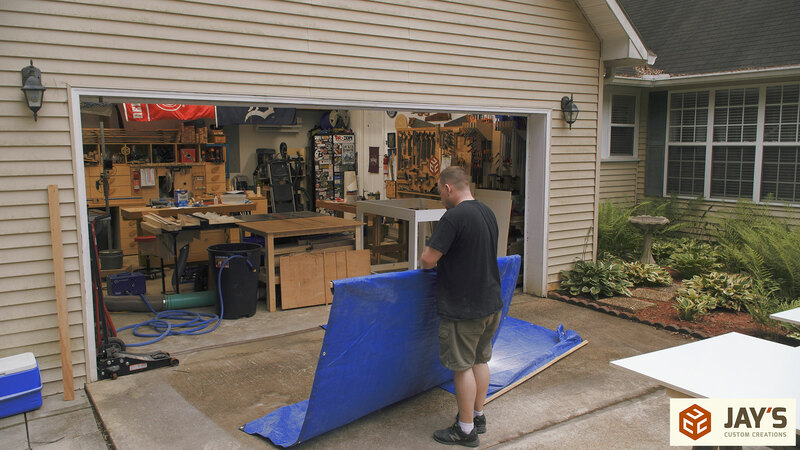 I hate using tarps because they are such a pain to fold up and you can never get them as flat or as small as they were when they were in packaging. So to make the process of using and putting the tarps away I stapled one short end to a 1” square stick of hickory. This way I can grab one end and roll out the tarps quickly as needed and simply roll them up when I’m done. Then set them in the corner out of the way. I’m spraying the finish on everything in the office remodel and to do so I’m using a turbine powered HVLP sprayer. 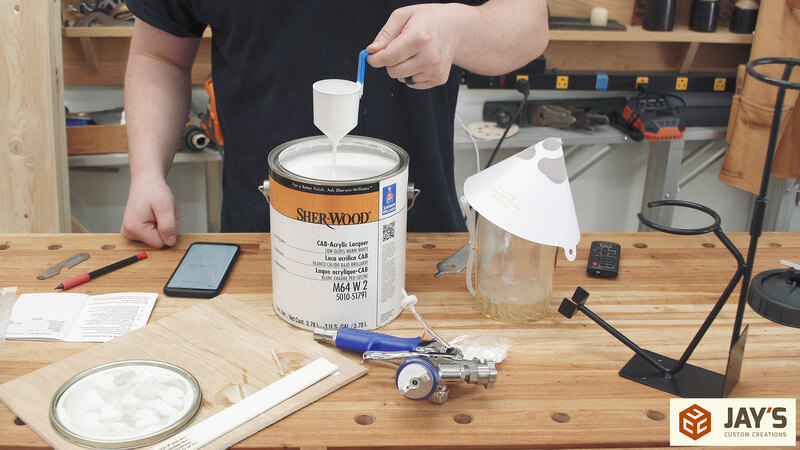 This particular unit is powerful enough to spray latex paint with ease. But I won’t be spraying latex paint this time. 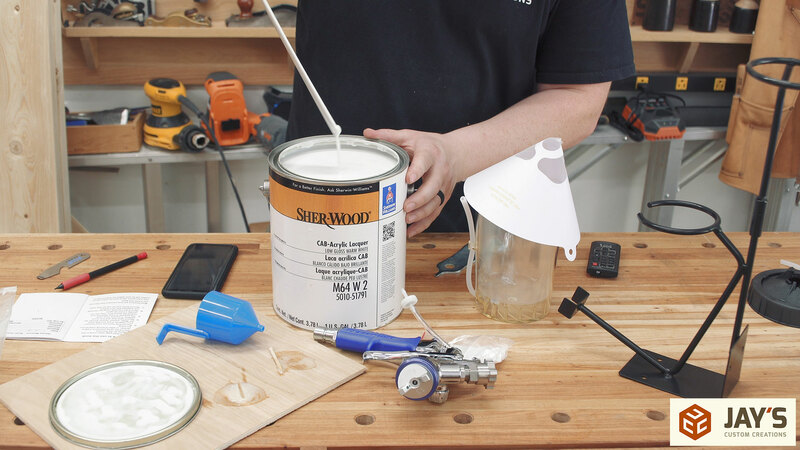 Instead, I’m going with Sher-Wood CAB-Acrylic Lacquer. It looks to be the same durable white finish that’s on my kitchen cabinets. I chose a lacquer because it’s a durable finish that dries extremely fast. I know I shouldn’t be but I’m really impatient when it comes to finishing. 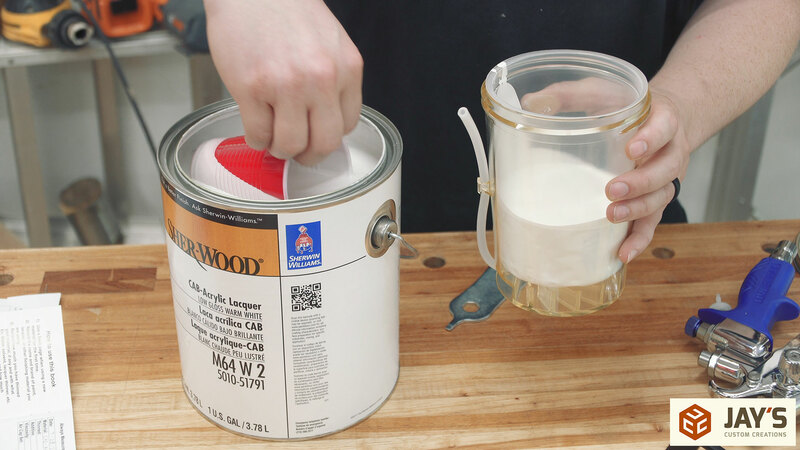 The sprayer comes with a #4 ford cup that is used to determine the viscosity of the finish. The cup is dunked in the finish and lifted above the surface. There is a hole in the bottom and you measure the time it takes for the fluid to flow out of the cup. This gives you a better idea of how the finish will spray. In my case it flowed out in 16 seconds. 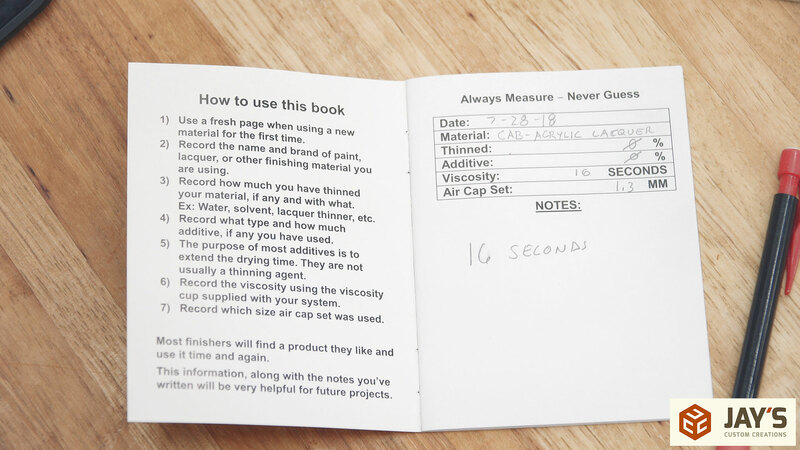 The sprayer I got comes with a book for you to keep track of the different finishes you spray and write down as much helpful information as you can think of. This will be helpful to reference the next time you spray that particular product again. I’m using a PPS cup system for the spray gun. This system consists of a hard cup that houses an internal liner and lid. This eliminates the need for cleaning a cup when you’re done spraying and also allows you to cap the internal liner and lid to use again later (within reason). 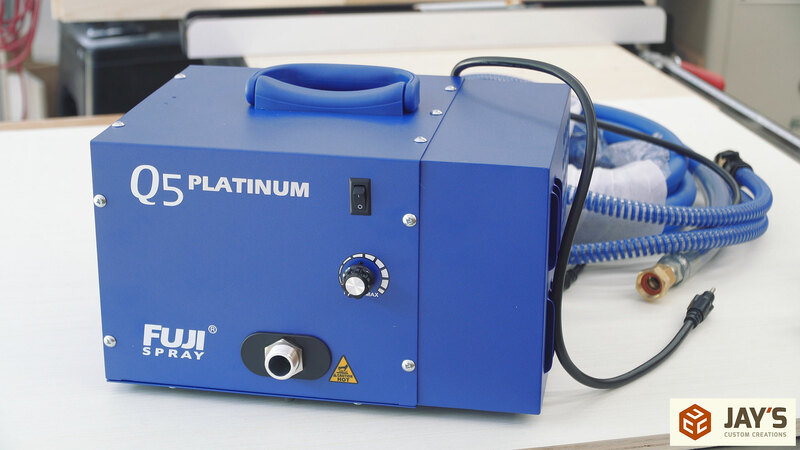 The PPS system also allows you to spray in any direction and not worry about gravity pulling the material away from the fluid intake of the spray gun. You can see I’m using a red plastic cup to fill up the PPS cup. That was a bad idea. The lacquer ate right through the cup. Luckily it didn’t happen fast enough to cause problems with the finish but it did melt to a pink goo consistency after I set it on a scrap piece of plywood. I quickly realized how powerful this turbine machine is. Overspray everywhere! I had the machine set to full power which was way too much for this thin of a finish. I had to back it down to about half which I still think might be too high. 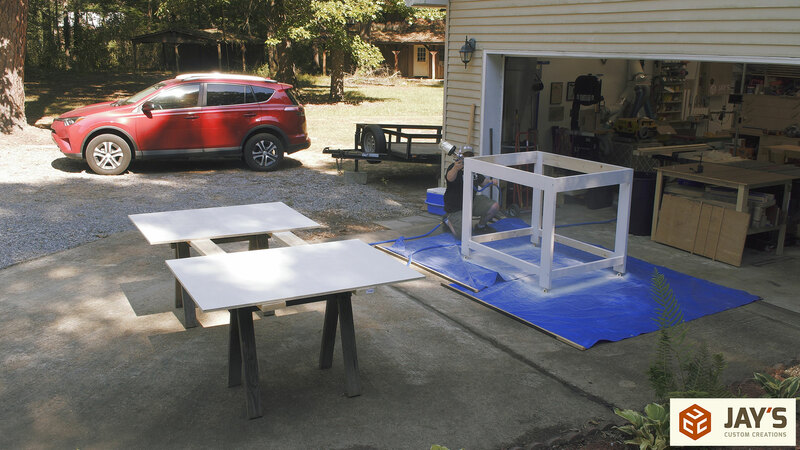 With the machine dialed back I sprayed 3 or 4 coats on everything in just a few minutes. The lacquer dries so quick and the HVLP system puts it on the project soooooooo much faster than brushing or rolling. I probably should have used a primer first though. That probably would have reduced the number of coats I needed by quite a bit. Live and learn. After a little cure time has passed I lightly sanded everything with 320 grit sandpaper. These tarps are sooo much easier to roll up this way! And the last coat of finish was sprayed on everything. This time I got a better finish on the panels by spraying them vertical. 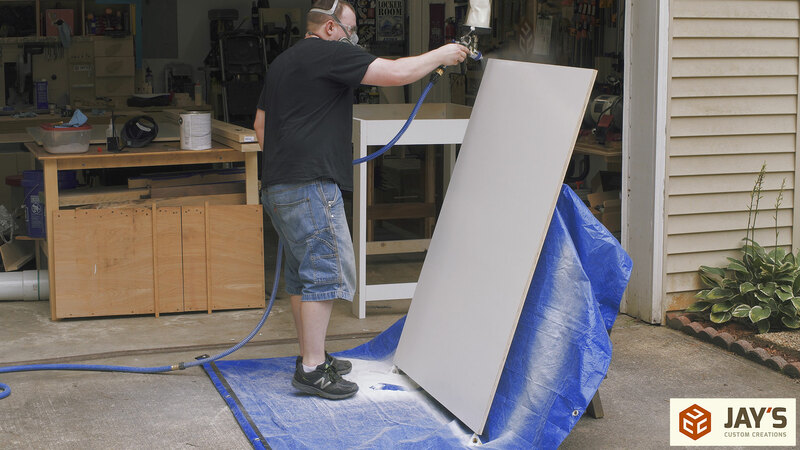 This reduces the chance of overspray drying in air and falling into the finish below. I live in the woods so there is very little wind. That was one of the reasons why the overspray or bouceback was so much at first. Even though I’m outside it’s not always a well ventilated area! 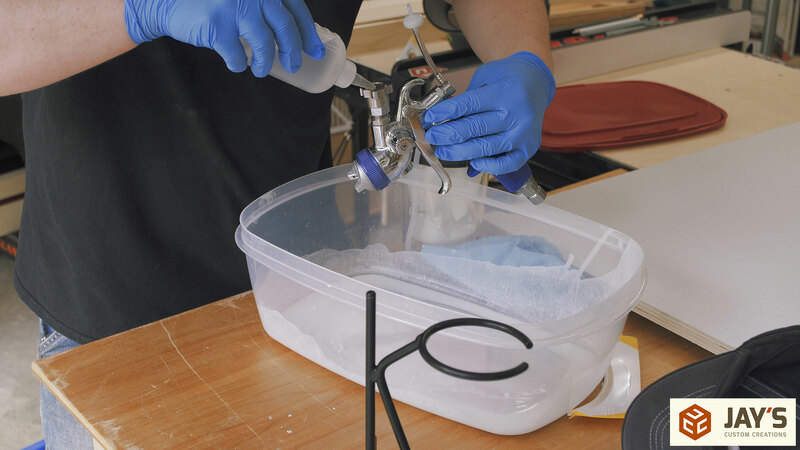 Cleaning the gun is as easy as removing the PPS cup liner and squirting a little bit of lacquer thinner through the material intake on the gun. Hold the trigger and let the waste flow out into a catch basin. Once the flow is clear I filled up the gun with lacquer thinner once again and used the turbine to spray the thinner into a rag. That’s it! It was incredibly easy and fast to clean up. Back in the shop with the garage door shut. 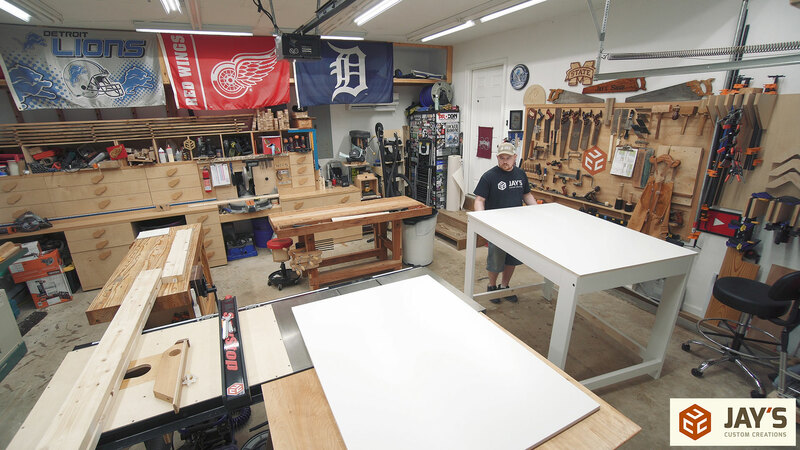 The table took up so much space that I had to slide my workbenches to one side of the shop. At this point I need to add the lower shelf cleats. 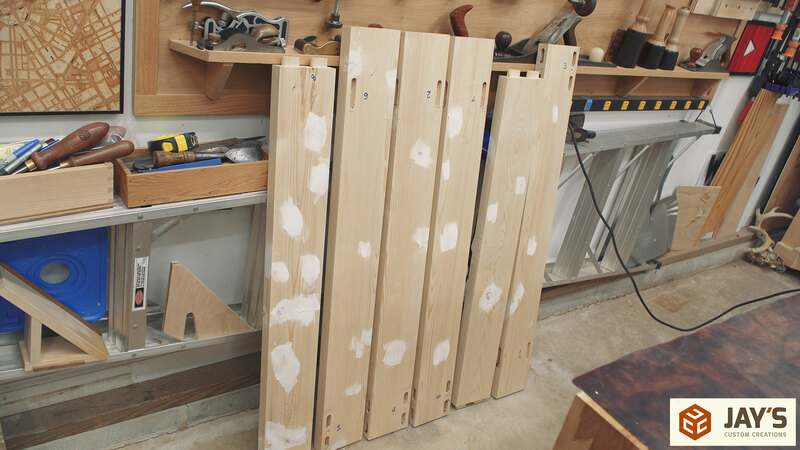 To help position them I made a simple spacer block with two pieces of the shelf material nailed together. Then the cleats can be cut to length. 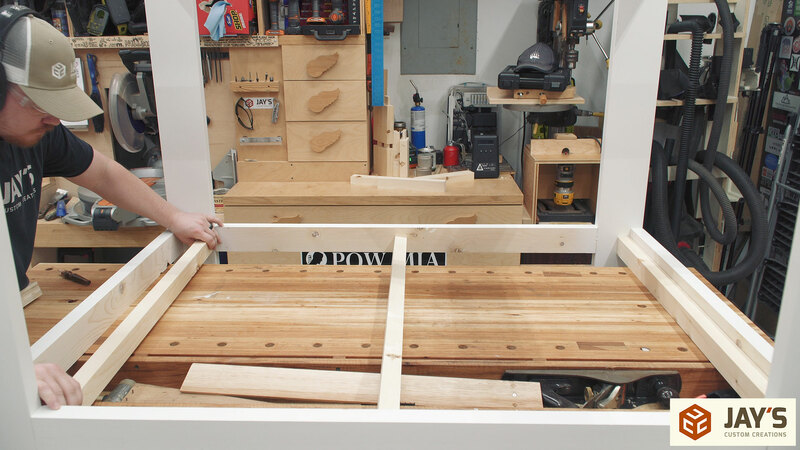 These are actually the offcuts from making the lower rails. The center cleats on both top and bottom are held in place with pocket holes. 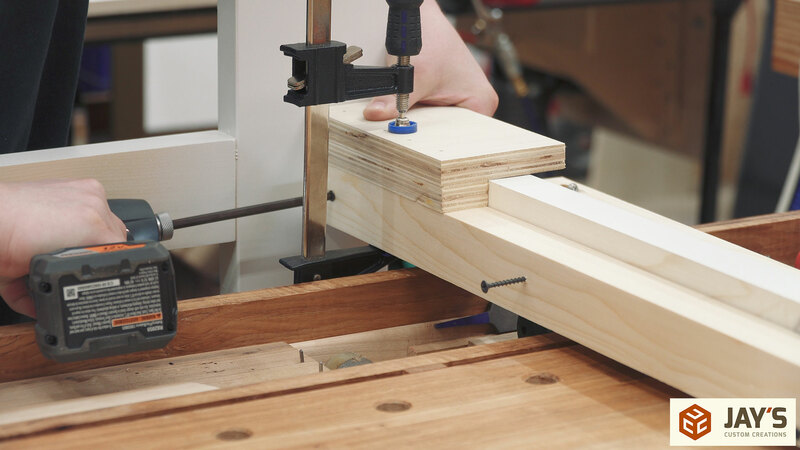 This is a Kreg Foreman pocket hole machine. It’s a work horse. This particular unit was sent to me as a pre-production machine and I’ve put a LOT of miles on it. It makes pocket holes really, really fast. 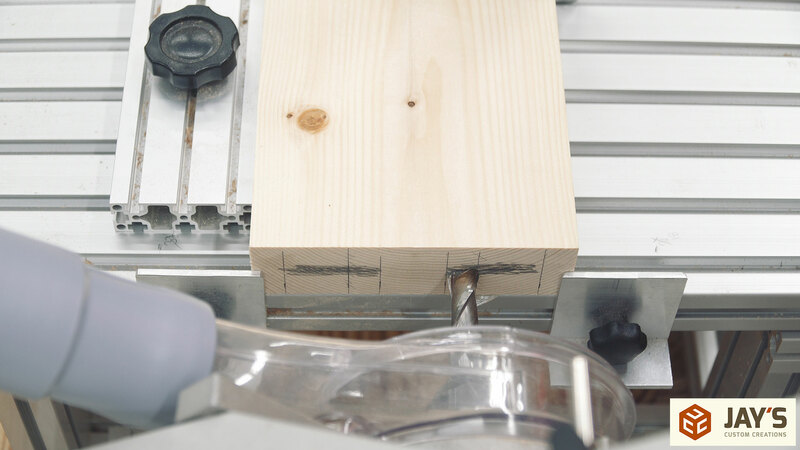 Here you can see the spacer block in action. 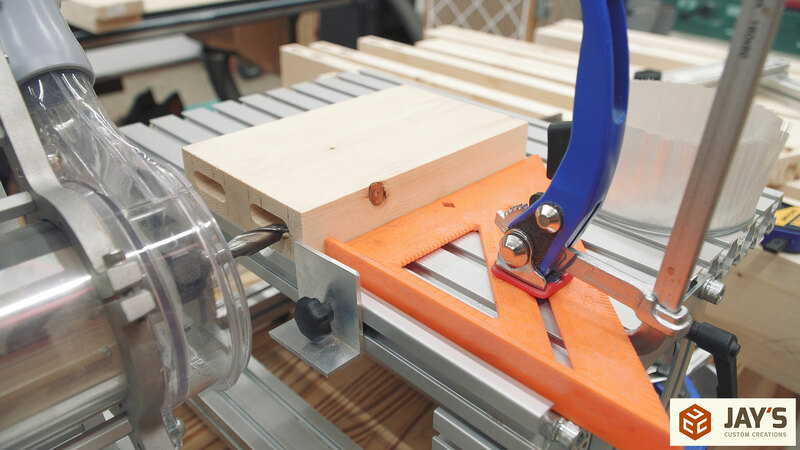 The block is clamped to the top of the cleat as the cleat is secured to the rail. 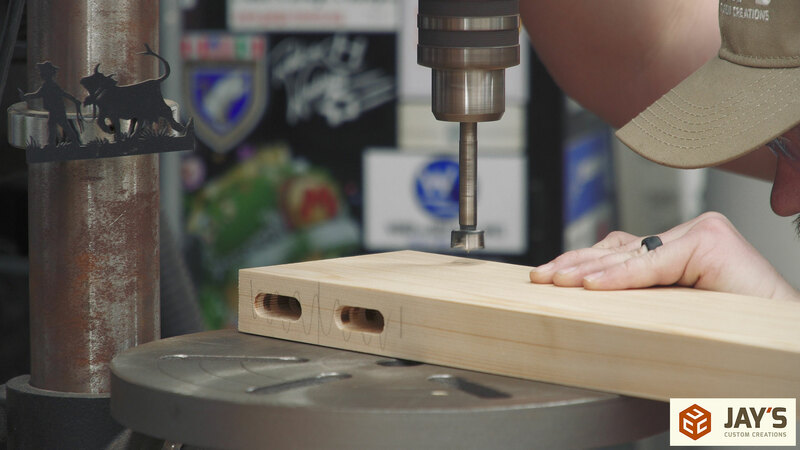 This means the top of the cleat is exactly the thickness of the plywood away from the top of the rail. 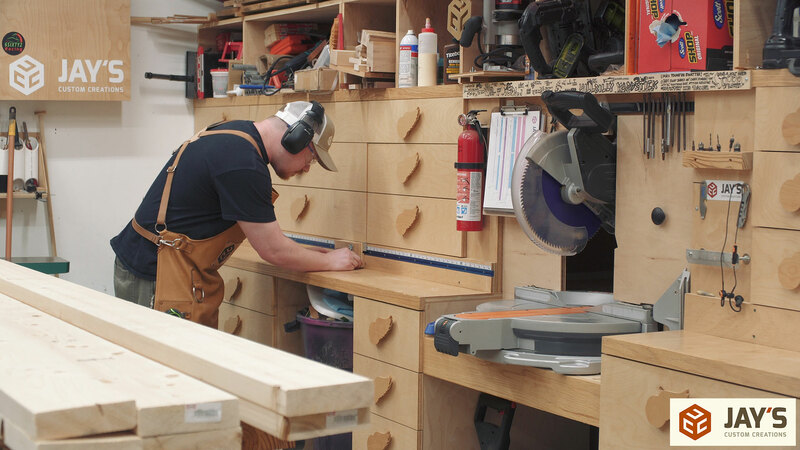 Perfect for the inset lower shelf. The rest of the cleats are installed the same way. As with the center support. I initially sized the lower shelf a tiny bit too big. 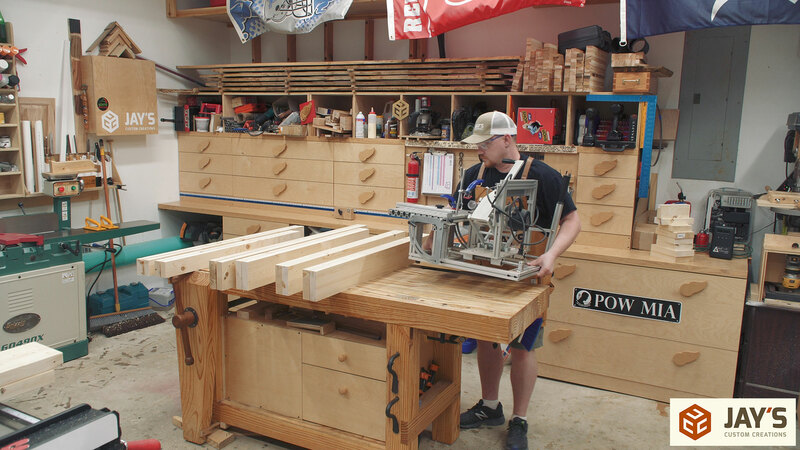 It got shaved down to size at the table saw. Before installing the shelf you can see a couple more scrap blocks installed as more shelf cleats. The lower shelf fits like a glove. Because it’s all white pine, the table isn’t heavy, it’s just big and awkward. I was able to set it back on the floor easily though. The top will be held in place via table top hold down clips. 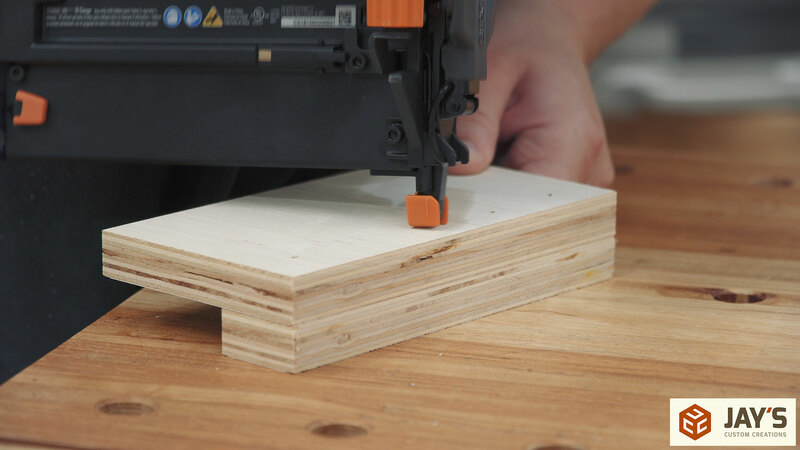 My favorite way to make the slots for them is to use a biscuit joiner. Here’s how the clips work. 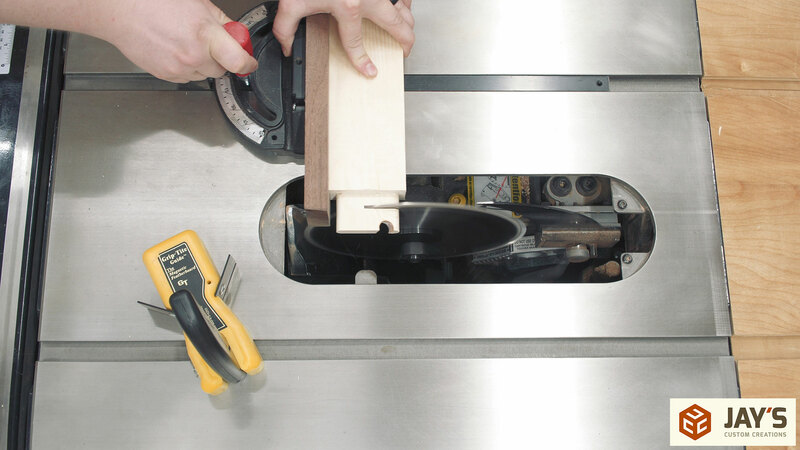 They fit into the slots created by the biscuit joiner and then are screwed to the bottom of the table top. 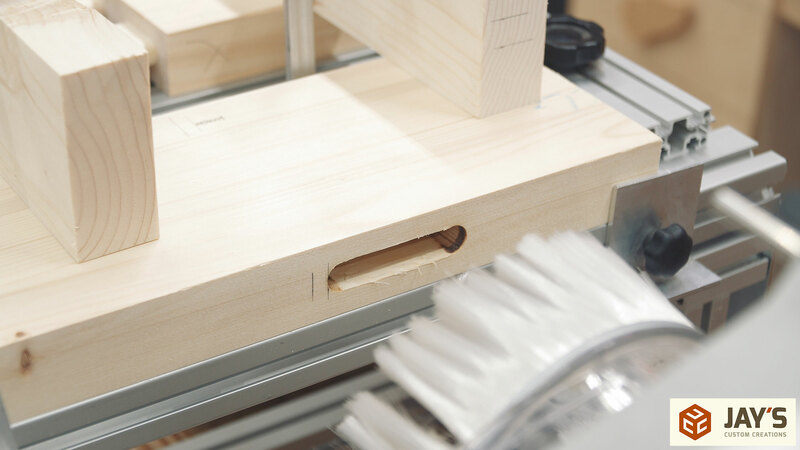 In this case there won’t be much movement to worry about as I’m using plywood but these clips are essential when attaching a solid wood top panel to a base. They allow for wood movement. Because I know I need to disassemble the table to get it in the office I didn’t bother attaching the top right now. I just centered it on the base. And the dog bed fits perfectly. I was a little worried about this because I accidentally made the short rails 1” shorter than I initially planned for. And here’s all of our dogs enjoying it for the first time. They are all rescue dogs. Cleo is the black and white one on the far left. She’s 9 years old and I got her when she was 6 weeks old. Next is the small black and white boy named Skeeter. He’s 8 years old and my wife go him when he was a few months old. Sandi is the black and tan dog hiding in the middle. She’s somewhere around 12 years old and my wife got her when she was in grade school. And the far right dog is our newest addition named Indy. We found her on the side of the road a few weeks ago covered in fleas and ticks. She’s almost 5 months old and has turned out to be a great dog. She gets along very well with the others and plays with Cleo all day long. We couldn’t ask for better dogs. And the last shot of the table for now. I still have to add the bubinga trim but I decided to hold off on that for now as I want to make sure I use the best pieces for the computer desk top. 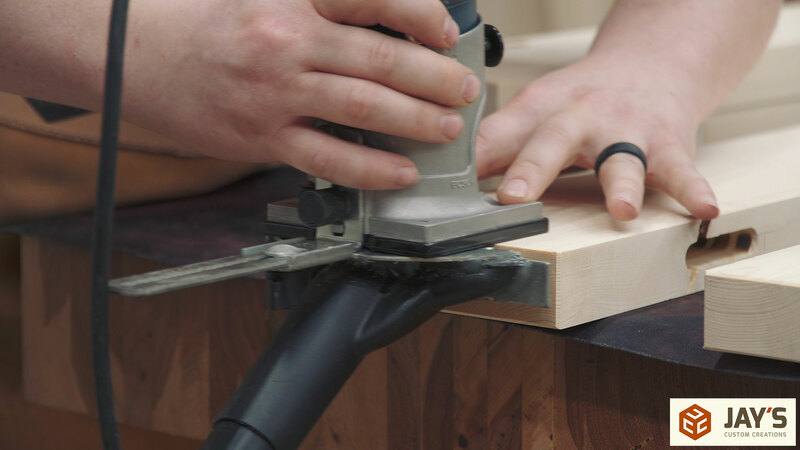 Then use whatever is left over for the trim pieces. I also don’t want to put it in the office just yet because I still have to take everything out to paint the walls. 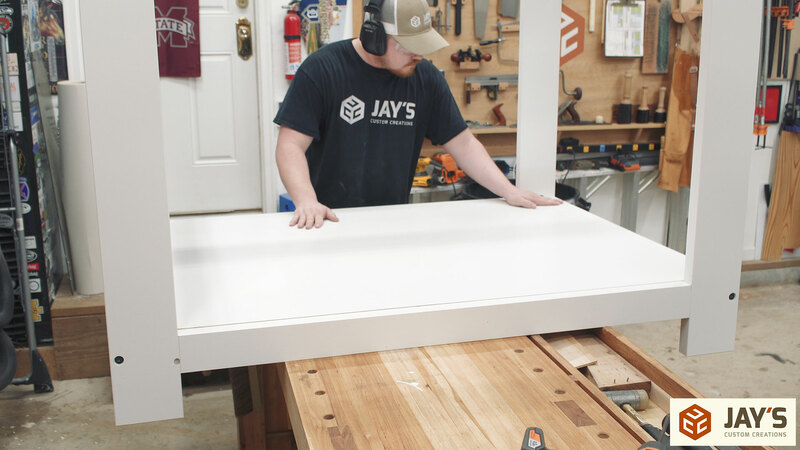 Very well done build article Jay! Nice job and nice, detailed article, Jay. Just wondering, though, it it going to fit through the door? Yes. That’s why I used screws to attach the front and back frames. 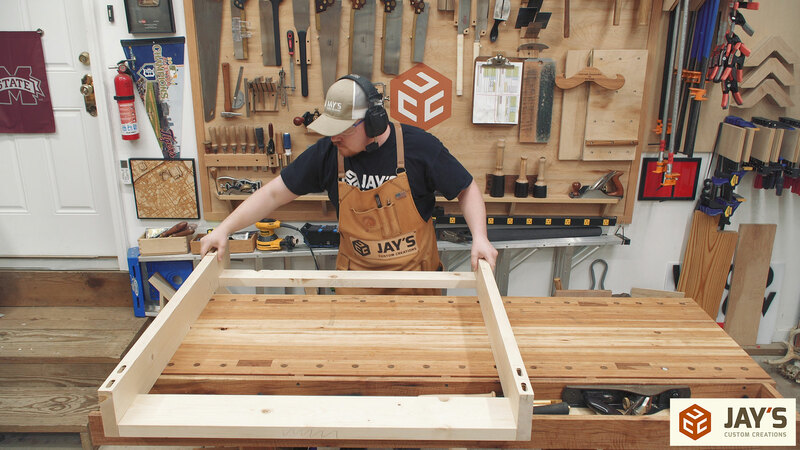 For someone just starting out (I literally just have a drill and small assortment of hand tools), what would you recommend is the best investment for making mortise and tenons? Sorry, clarification, I’m planning on buying a house in the next year or so and building most of my furniture myself. A nice video. As with many of your videos, you make a simple build elegant. Simple question- would you chose the panto-router over a Festol Domino (assuming money was not a major consideration? Jay, I am a disabled vet, blind mostly little sight in my left eye, but my brain works. 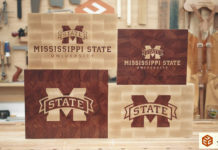 I want to get into woodworking. I do some things and work with power tool but don’t have the space for big tools. 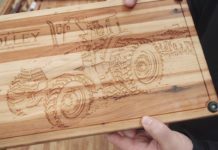 Can you get me some advice and suggestions on starting a woodworking business? Jay, your use and organization of sound and double exposure images is outstanding. 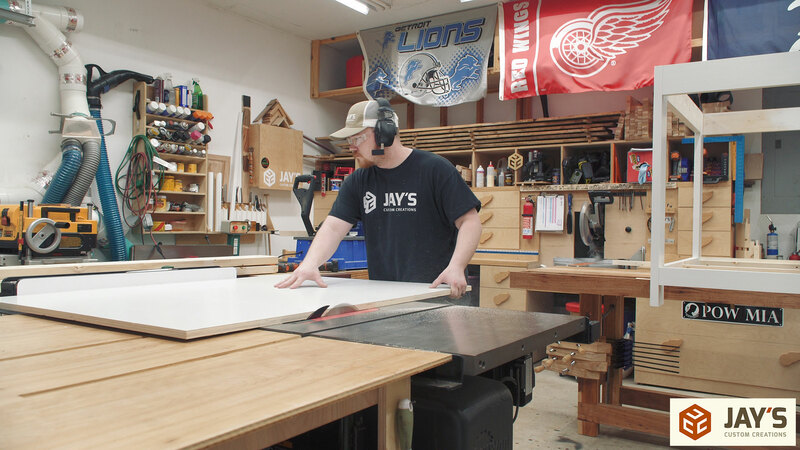 In my opinion, your videos are the best on the You Tube woodworking videos. Man, you need to go to Hollywood. You’re too kind. :) Thanks for the feedback. I really enjoy your videos Jay. 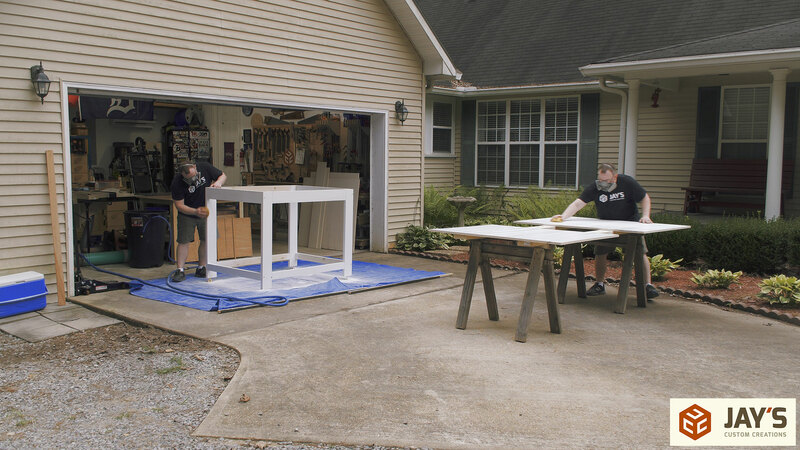 Why don’t you approach one of the DIY type channels for a TV series. There hasn’t been anything good since Norm Abram retired. I’m wondering too, if you have ever discussed the golden ratio and how to use it in project design.